Also we found this announcement of a Christmas Carol concert in Putney on 12 December. But as we all know this doesn't mean anything as this appearance has not yet been officially confirmed. "Michael will be gracing your TV screens twice in the next few days.....you can catch him on Strictly Come Dancing, It Takes Two at 6:30pm on Friday 1st November (BBC2) and This Morning at 12:15pm on Monday 4th November (ITV1)." Also he is listed as a contributor to The Nation's Favourite Elvis Song (8 November, ITV 1, 9pm) and as a guest on Loose Women on 14 November (ITV 1, 12:0pm). As you might have seen on Twitter Michael will make an appearance as God in the musical Spamalot at the Playhouse Theatre London. You can book tickets here. 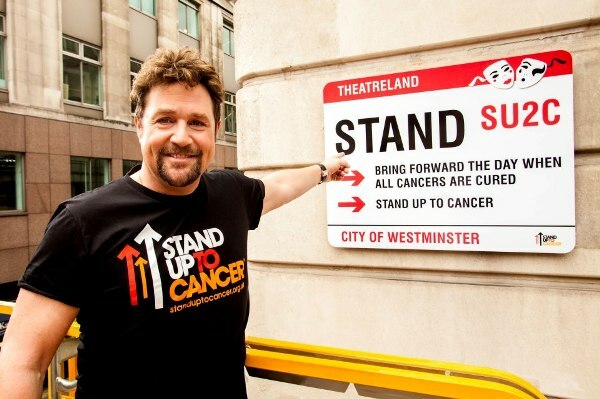 Have you heard the exciting news that Michael Ball is appearing as God in Spamalot at The Playhouse Theatre to raise money for for charity? 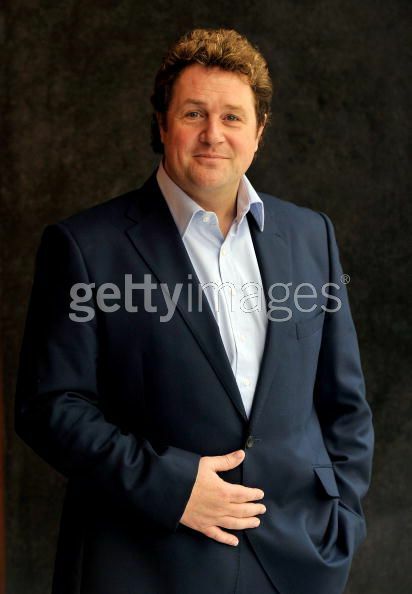 Michael Ball took time out of his busy schedule to film the part of God, which will be shown during each performance of Spamalot from Monday 21th October until Saturday 26th October. 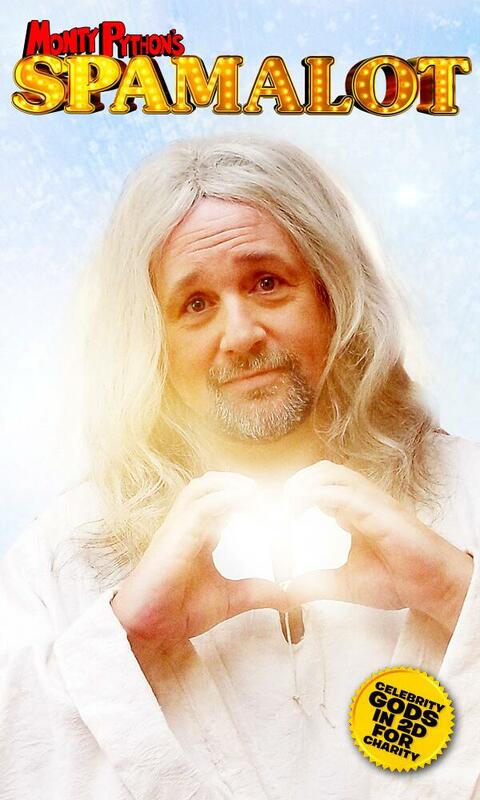 Ball steps into the heavenly robes previously worn by Hugh Bonneville, Barbara Windsor and Christopher Biggins who have also filmed the part of God. ‘The Summer of Spamalot Charity Gods' has been created to raise-a-lot of shillings for several charities including Headley Court Rehabilitation Centre, The Make A Wish Foundation, the Great Ormond Street Hospital, Scene & Heard, Stage For Age and Keats Community Library which are supported by the actors who are playing God. The part does not require the actor to be on stage (it's filmed and shown on a screen apparently) but Michael will make a personal appearance on 21 October. 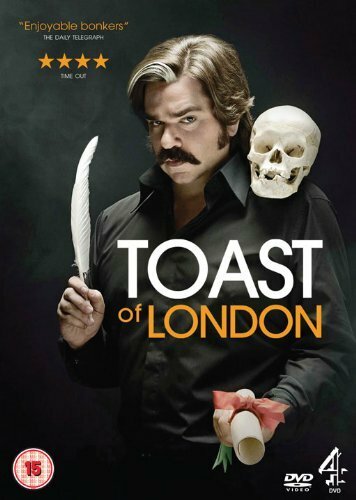 On 24 November Michael will appear in the new comedy series Toast of London which will be aired on Channel 4 at 10:40pm. He will go back to his roots and do some straight acting. We can hardly wait to see it! Michael will be sitting in for Ken Bruce again in the week commencing on 21 October. You can listen to him Monday to Friday from 9:30am on BBC Radio 2. On 7 October Michael attended the Pride of Britain Awards held at Grosvenor House in London. There are several photos online. You can always find lovely shots at Contact Music. 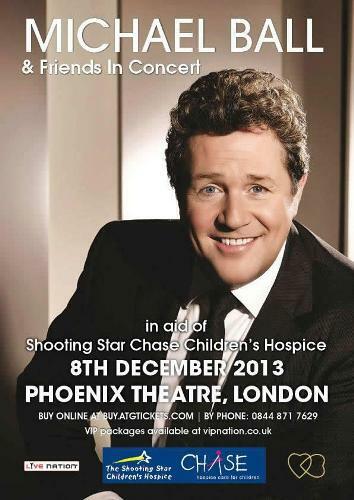 On 8 December Michael will give a charity concert in aid of the charity Shooting Star CHASE at the Phoenix Theatre in London. Tickets will go on general sale on Friday 4 October and are priced between 20 and 85 Pounds. There are VIP Meet and Greet packages available for 299 Pounds. Michael gave a short lovely interview after being awarded an honorary doctorate. TMichael will be one of the guests at The Alan Titchmarsh Show on Friday 20 September (3pm, ITV1). Also he recorded two appearances for Songs of Praise (Your Favourite Hymn and Your Favourite Carol with provisional air dates on 27 October and 22 December). "Musical star Michael Ball, multiple award-winning artists Gilbert and George, and former Secretary of State for Education Lord Kenneth Baker are to be recognised for their achievements with Honorary Doctorates from Plymouth University this year. 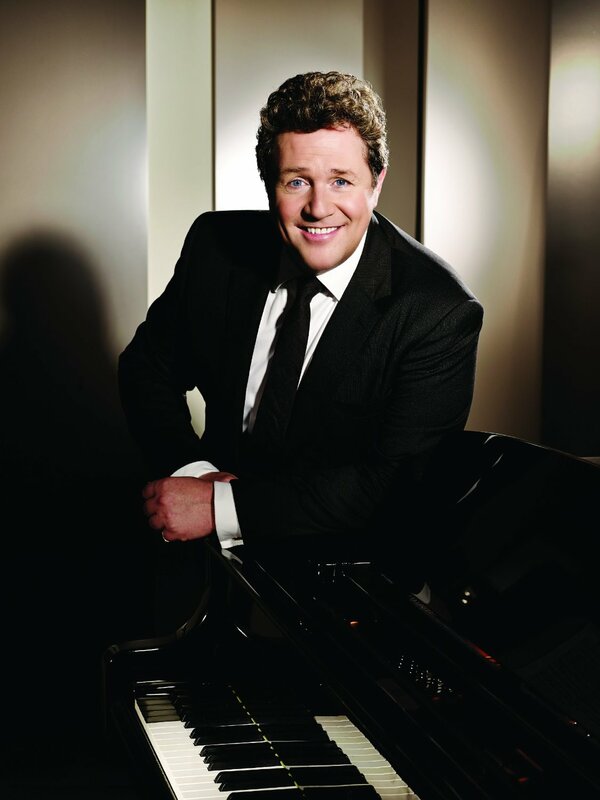 Michael Ball will be presented with an Honorary Doctorate of Arts on Friday 20th September, bringing him back to the city where he grew up and where he first became involved in youth theatre." Michael will take part in a star-studded gala evening in aid of the Yorkshire Ballet Summer School on 29 September at the Sadler's Wells in London. You can buy your tickets and read all about it here. The line-up includes "BalletBoyz®, Steven McCrae, Royal Ballet, Imelda Staunton, Jim Carter, Samantha Bond, Wayne Sleep, stars of the Royal Ballet, Birmingham Royal Ballet, Scottish Ballet, Northern Ballet, Rambert Dance Company and English National Ballet. " According to this new cover design and Amazon the Both Sides Now DVD will feature an exclusive 8-track bonus CD. It will be released on 11 November 2013 and you can order it here. The people of Sanghai are in for a treat. Michael will be returning to the Chinese metropole to headline a concert series that is devoted to the music of Claude-Michel Schönberg and Alain Boublil, the writers of Les Mis, Martin Guerre etc. The concerts will take place from 27 November till 1 December 2013 at the Shanghai Grand Theatre. 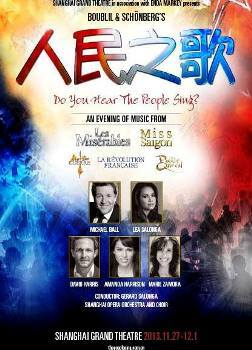 Michael will be joined by Lea Salonga (his Eponine for the 10th Anniversary concert) David Harris, Amanda Harrison and Marie Zamora (wife of Alain Boublil). Michael will be interviewed on BBC Radio 3 during "In Tune". He will be promoting the Gershwin concert taking place on Sunday at Kenwood House. You can listen to the show online using this link at 4:30pm. The show should be available to listen again shortly after the show has finished. P&O Cruises announced that Michael will take part in a cruise to the Baltic Sea. The cruise will lead to Zeebrugge, Amsterdam, Copenhagen, Gothenburg and Oslo. It will take off in Southampton. So, if you have some holiday allowance left and have the money, you might consider a cruise at the end of the year. Find more information here. Michael and Elaine Paige are among the guests for a special celebratory concert for Don Black (A Life in Song: Lyrics by Don Black) on 3 October 2013. It will be held at the Royal Festival Hall (London) and you can book tickets here. The concert will be filmed for broadcast by the BBC at a later date. Michael wil be appearing on ITV's Daybreak tomorrow (Wednesday) at about 8:15am. The show itself starts at 6am. Enjoy! You may remember that Michael filmed an episode for the BBC 1 show I Love My Country. His episode apparently will be aired on 17 August at 7:15pm. You can also win tickets for Audley End here. Remember that Michael will be sitting in for Ken Bruce for two weeks, beginning on Monday. Michael will close the SummerFest in Abu Dhabi with two concerts on 16 & 17 August 2013 (press release). You can buy tickets here. To all those lucky enough to be going: enjoy yourselves and tell us all about it in our Facebook group. The news we have been waiting for: The Both Sides Now tour DVD will be released on 11 November 2013! You can pre-order it here. 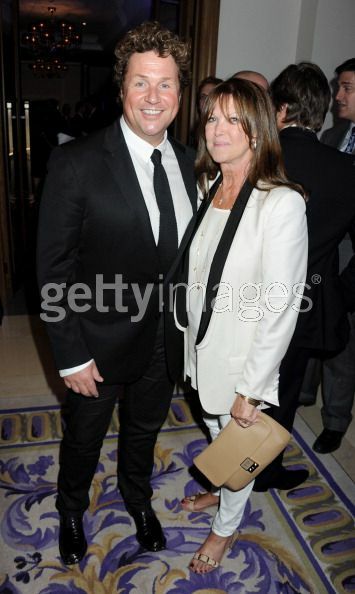 After having just turned 51 on Thursday Michael attended the Nordoff Robbins Silver Clef Awards last Friday. 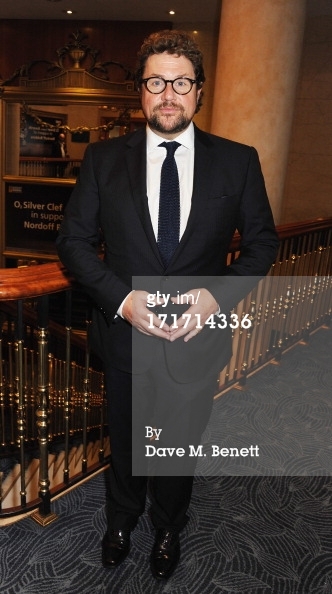 You can find some photos on Getty Images (all bearded and with glasses). Also Michael will be appearing as host at Radio 2 Live In Hyde Park concert on Sunday 8 September. Tickets are sold out but some hospitality packages are still available. The concert will be transmitted live via Radio 2 and via the Red Button. Tomorrow, Friday 31 May at 6:30am, Michael will be one of the "superstar narrators" in the finale of Chris Evans' 500 WORDS 2013. Read all about it on BBC Radio 2's website. Another Michael event got announced today. Michael will be hosting "An evening of Gershwin" at Kenwood House's "Live by the Lake" on 1 September 2013. Apart from hosting the show Michael is expected to sing eight songs. He will be joined by Goina Beck (current Glinda in Wicked), Kerry Ellis and David Shanon. Tickets can be booked via their official website. According to his Facebook page Michael will be presenting the The One Show this Friday (24 May). It's on BBC One at 7pm. Enjoy! 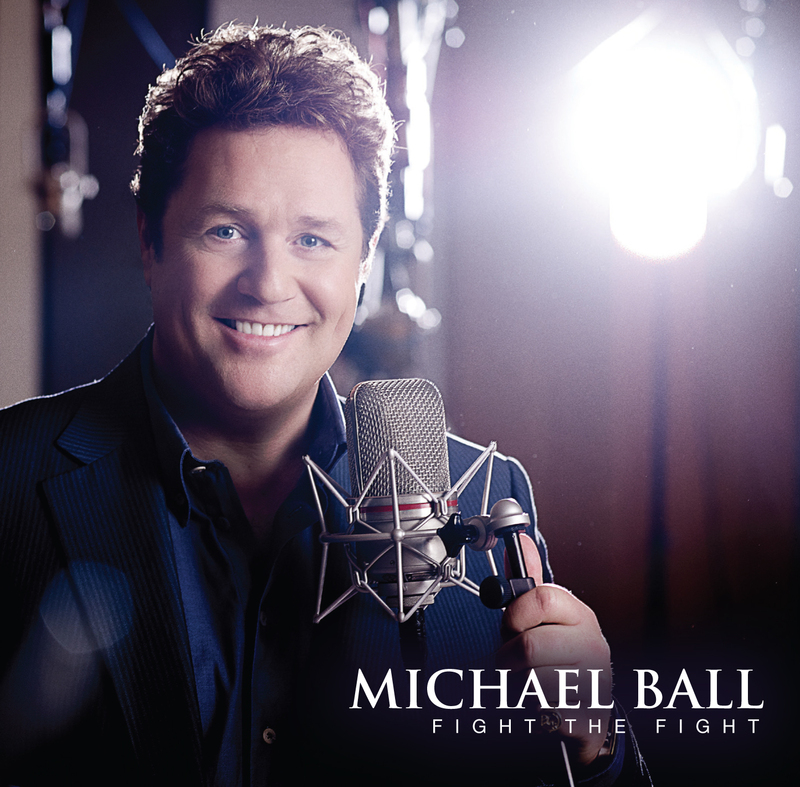 MICHAEL BALL has an exciting brand new single, ‘Fight the Fight’, released on May 13th through Union Square Music and will be available from iTunes, Amazon and all other digital music stores. ‘Fight the Fight’ is upbeat, anthemic and has been penned by Sir Tim Rice and Stuart Brayson for their forthcoming West End page-to-stage musical, ‘From Here to Eternity’, which opens at the Shaftesbury Theatre in October. The musical marks Brayson’s West End debut and Rice’s first stage musical in ten years. 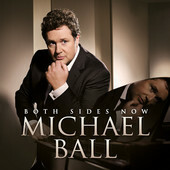 The track features on Michael’s recent Top Ten smash hit album, ‘Both Sides Now’ which has been in the charts since its release on February 25th. Released through Union Square Music, ‘Both Sides Now’ represents both sides of Michael’s unique career – that of Britain’s top musical theatre star and multi-platinum recording artist. 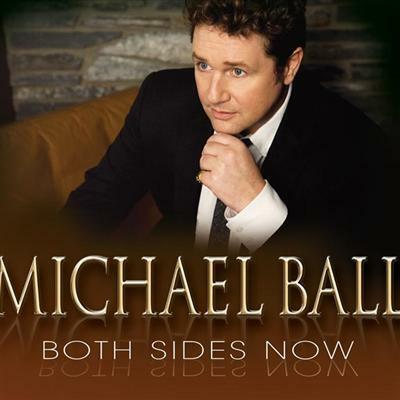 ‘BOTH SIDES NOW’ showcases Michael’s outstanding talents in both areas of his stellar career - musical theatre and the recording studio. 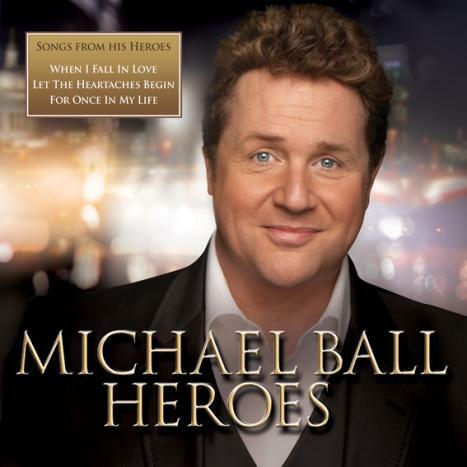 The album features some truly inspiring versions of Michael’s favourite pop hits together with classic songs from the musicals and some exciting new songs. His voice has never sounded better and his thoughtfully crafted, intimate arrangements on this outstanding collection of classic songs sees Michael taking chances and absolutely flying with his choices; songs such as the brand new Andrew Lloyd Webber/Leslie Bricusse composition, ‘The Perfect Song’, Joan Armatrading’s ‘Love and Affection’, Joni Mitchell’s ‘Both Sides Now’, and more are given a new, contemporary feel. Photo courtesy of Gettyimages.com (Where you can find some more pics)ight! As you may have seen on our Facebook group Michael will be doing an open air concert in August. He will be back at Audley End on Sunday, 4 August. Click the link for ticket and general information. Also he received his gold disc for Both Sides Now yesterday while presenting The One Show. Screenshots can be found at our Facebook group. And the clips can be downloaded here. Congratulations, Mr Ball! Also he has been at BBC Radio Scotland yesterday and you can listen again here. And you can read about him in Woman’s Weekly and Yours Magazine. The ceremony will be held on 28 April at the Royal Opera House in London. The awards will be covered on the day by BBC Radio 2 and there will be a highlights programme on ITV 1. For a full list of nominees click here. As this is right in the middle of “our” leg of the tour we hope to see many of you at Covent Garden to cheer for Team Todd. Congratulations to everyone! This is so well deserved! Don't forget to get the single "The Perfect Song" which was released on 18 March for iTunes. There is a lovely interview with Michael about Cathy, his life and the mysterious musical he will be doing. Apparently it will happen during the summer of 2014 and it will happen again at Chichester Festival Theatre. To read the article click here. Tomorrow Michael will be interviewed at The Andy Potter Show, Radio Derby, 1pm. 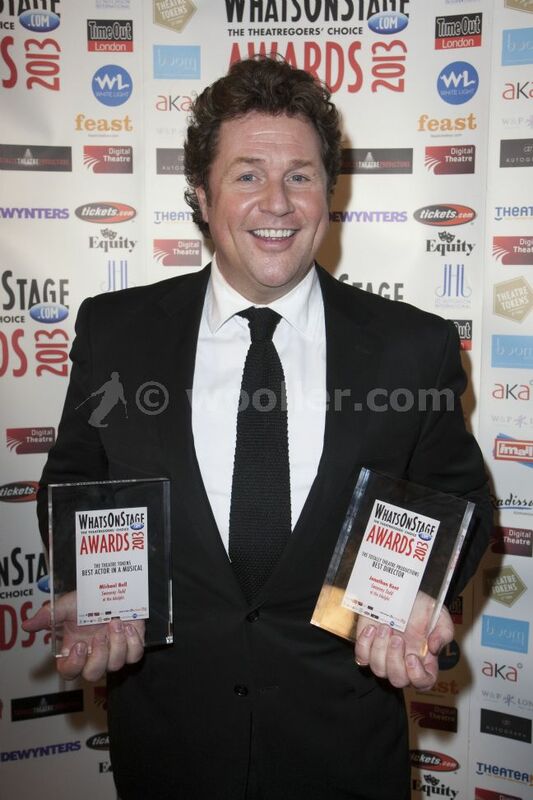 Congratulations Michael for winning the Whatsonstage Award for the best Actor in a musical. Well done! UPDATE: And congratulations to Jonathan Kent for best director, Imelda for best actress, Sweeney for best revival and Mark Henderson for best lighting design!! Whoopwhoop for Team Todd! So well-deserved! Photos from the press room can be found at wooler.com. The Whatsonstage Awards will be up tonight at 7pm GMT. You can watch the concert live online. Just click here and enjoy. You can tell the release of "Both Sides Now" is nearing. Terry Wogan played "The Perfect Song" during Weekend Wogan. Should you have missed it, you will be able to listen again until next Sunday. Just hop to Weekend Wogan. listen again and jump to 40:20 minutes and the song starts right there. Itunes offer the chance to listen to short clips of all the songs of Michael's upcoming album. So, if you'd like to listen to it, click here. Hover over the numbers of the songs and a "play" Icon will appear. Click on it and the clip should start after a moment. Yes, it's true. Michael auction off the original Marius costume he wore again at the 10th Anniversary concert in the Royal Albert Hall. We are amazed, shocked and a bit sad to see it go. So, check your cheque books and get bidding. The auction is done in aid of Shooting Star Chase. The mystery has finally been solved. Michael got his visa for China and will be flying out to Shanghai tomorrow and a rather busy week will follow. According to the promoters Michael will be joined by Laura Michelle Kelly. She will sing "I dremed a dream" and "On my Own". Michael will then join her for the duet "All I ask of you" and will be singing his signature songs "Empty Chairs at Empty Tables" and "Love Changes Everything" which will close the show. After the concert on Thursday, 14 February 2013 he exptected to dash home as he is cofirmed to attend the Whatsonstage Theatre Awards on Sunday night, where he is a strong contender to win a price for his portrayal of Sweeney Todd. So, Michael, for both occasions, break a leg and we will be here thinking of you and keeping our fingers crossed. So set those VCRs and enjoy. Also he can be heard today when choosing his two favourite tracks from the 70s in "Johnnie Walker's Sounds of the 70s" on BBC Radio 2 at 3pm. The rumours were spreading around the internet, that Michael would be doing a concert in Shandhaig, we were expecting something official soon, but there is nothing, so will there be a concert or participation of Michael at a Gala? We don't know. Should there be any news we will let you know. Original post: Michael is going international again and it's getting very exciting especiallly for his Asian fans, who can manage a Valentine Day trip to Shanghai, China. It all started with the Twitter rumour that Michael was scheduled to appear in a concert at the Shanghai Grand Theatre on 14 February 2013. No details about tickets etc. are known yet. Michael's tweet regarding this: Did I mention it looks like I'm off to Shanghai for a Valentine's day concert. Always wanted to visit China. We now have the track list for the new album "Both Sides now", which will be released on 25 Fabruary 2013. As soon as we have any more order information we will provide you with it. The news we have been waiting for is finally out. Michael will present his own new radio who on BBC Radio 2. The show will air on Sundays commencing at 7pm. His first show will air on 20 January 2014. You can read the official press release of the BBC here. At the time we don't have an official title of the show. 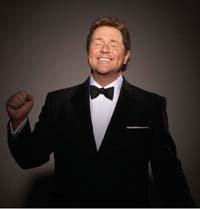 The show will be called "Sunday Night with Michael Ball" and has its own programme page up and running. Have a look! 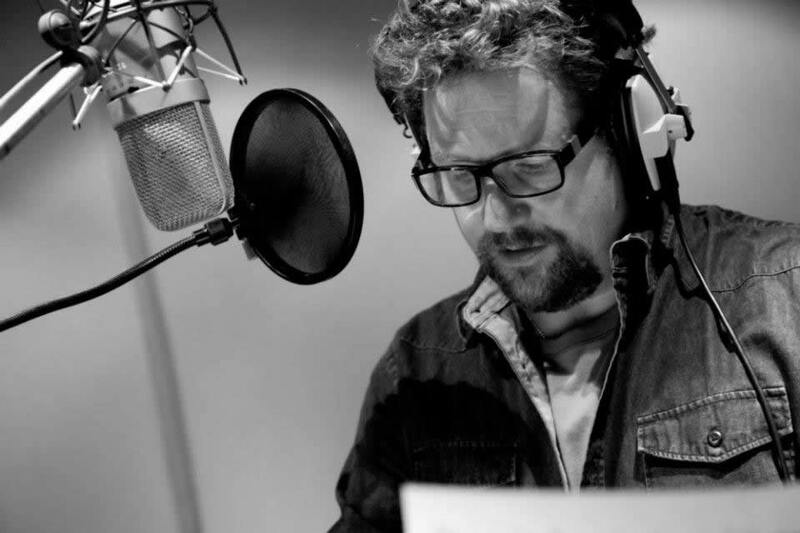 Michael Ball returns to Radio 2 for his brand new series, offering a blend of music from across the decades. Music from the movies, classic albums, the West End and Broadway, iconic vocalists and contemporary favourites will all be featured alongside nostalgic popular favourites and modern greats. Each week, 2 classic artists will be inducted into the Singers Hall of Fame. We would like to know which artists you would like to nominate; tell us about why they mean so much to you, what memories their songs hold and why you think Michael should celebrate their life of song and performance. We would also like to hear about your favourite piece of classical music which may be played as one of Michael's Timeless Classics. It could be a time-honoured piece from Beethoven, Barber or Mozart, or a composition from a modern film score. We would love to hear your suggestions and the reason behind your choice. Get in touch with Michael by emailing [email protected] and share your suggestions with him. In return, he will provide you with the perfect Sunday night experience. This is a show for you. Michael was the surprise interview guest on Chris Evans' BBC Radio 2 show on Monday and you can still listen to the show here until next Monday. He is on at about 2 hours and 11 minutes. On 25 January you can see Michael in an episode of John Bishop's "Only Joking" on Sky 1 at 8:30pm. Exciting news! Michael will appear in the celebrity edition of Who wants to be a Millionaire? to raise money for Shooting Star CHASE. Please remember that Michael ‘s Les Mis special will also air that day (4:50pm, also ITV1). What a way to start 2013! Congratulations to all cast and creatives of Sweeney Todd who won amazing 8 awards! Michael has a very busy month. Sadly so do Kerstin and I at work, so apologies for not being as active on here as we'd like to be. WhatsOnStage Awards – vote now! Sweeney Todd has been nominated for 5 WOS Awards. You can now order your MB calendar from Michael's official merchandise shop. Deliveries start from 17 December. On 3 December Michael was a guest cook at this show. We cannot be sure as you cannot watch the episode outside the UK but we hope this will work for most of you. Enjoy! Michael was interviewed for Steve Wright in the Afternoon and you can listen again here. Michael even reveals a line from his new song. Michael has been a gueast at the Today Show to promote the Cork concerts and you can watch the show on their player. On Sunday, 2 December, Michael will be interviewed for Cork 96FM radio’s “The Arts House“ show with Elmarie Mawe at 9:20am. You can listen live (and again) here. On Friday, 7 December, he will appear in the documentary “100 Years of the Royal Variety Performance”, ITV 1, 9pm. So many things have happened! Michael will appear on BBC1's “The One Show” on Wednesday 28/11/13 at 7pm. The new album will be called “Both Sides Now” and the release date will be announced soon. Tickets go on sale at 9am on 30 November and are available from Live Nation or Ticketmaster. No one would pretend that this year was the most adventurous for musicals, and the season ahead already promises a range of titles (Once, The Book of Mormon, and Merrily We Roll Along just for starters) promising far more than most of what was on offer musically during 2012. But by any standards, and at any time, Jonathan Kent's Chichester-spawned revival of Stephen Sondheim's Sweeney Todd was a major achievement and not just for restoring scale and scope to a show that has tended toward downsizing in recent years. Inheriting roles that can now be said to belong definably to the classical canon, Michael Ball and Imelda Staunton reinvented both their parts, and themselves, anew — a bearded Ball visibly growing up and darkening in range and timbre in front of our eyes as the razor-wielding Sweeney alongside Staunton, a Mrs Lovett at once impish and baleful, as delightful as she was doomed. The actress next takes on the mammoth challenge of Mama Rose in Gypsy: sing out, Imelda! 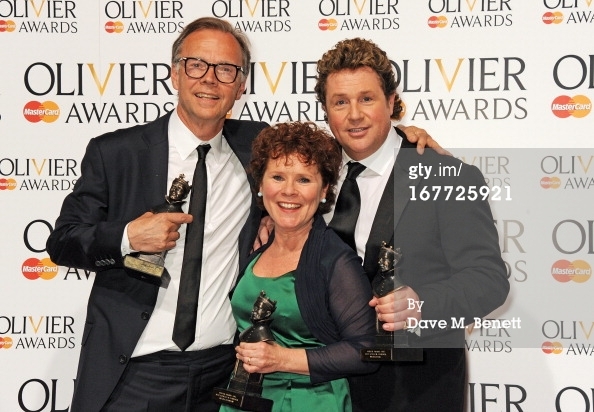 Not really surprising Imelda Staunton won (deservedly) the award, where she competed with Michael. As she was not there, Michael accepted the award on her behalf. 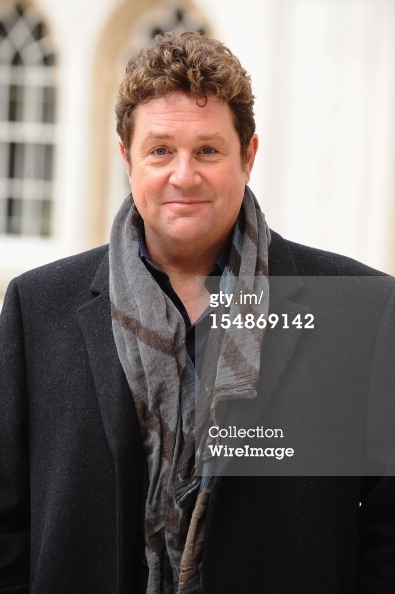 Getty Images posted some lovely photos of Michael at the Guildhall. Michael has been interviewed by Newstalk to promote the Cork concert. Apparently it was a great interview and more intense than most. So you might want to listen to it. He was on Thursday, 11 December 2012. Go to that Day, part 3 and then he is on at about 37 minutes. Use this link. Michael will be doing two Christmas Concerts with the Cork Youth Orchestra on 8 and 9 December 2012. You can either sit in the balcony, which will offer reserved seating or in the stalls, where the seating is unreserved, but you might have several rows reserved in front of you. Get your tickets here. 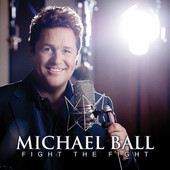 The followin Thursday, 13 December 2012, Michael will be taking part in a Christmas concert at the Royal Albert Hall. You can get your tickets here. Michael took part in the Shooting Star Charity Day. You can find some lovely pictures on the Twitter page of Shooting Star Chase. When we wwere in London for the last week of Sweeney Todd, we heard from a friend that Michael had been photographed on Strand. Of course we had missed it, but we were curious, wanting to see the photos. Well here they are and he is looking gorgeous. Missing the beard! More award nominations for Michael and the Sweeney cast and crew. The Broadway World UK Awards 2012 have opened their voting platform. You need to give your e-mail address to start voting. Also you can see the current results on the website. The Award season has started. Not surprisingly Michael has received the first nomination for his portrayal of Sweeney Todd. He is nominated for the UK Theatre Awards, which is presented by the Theatrical Management Association. Michael and Imelda are both nominated in the same category (Best performance in a musical). They are up against only one other actor (Daniel Evans for Company produced in Sheffield). The ceremony will take place on Sunday 28 October 2012 in the Guildhall in London. So remember that date and keep your fingers crossed for Michael. "From Broadway to Hollywood" will feature Michael introducing stars in the making from the Arts Educational School. 13 soloists, a group of 50 piece chorus and a 60 piece orchestra will be conducted by Mike Dixon. They will feature songs from famous musicals like Grease, Funny Girl, My Fair Lady and many more. You will be able to watch all this live at the Mermaid Theatre in London. Get your tickets here. Should not you be able to get there, as most of us won't, you will be able to listen to the show live on BBC Radio 2 on 19 October 2012 at 8pm. Michael took part in the Shooting Star Charity Day. There are a couple of lovely photos of him, Joan Collins and Tony Hadley on Shooting Stars Twitter page. Have a look at their page or go directly to their latest images. The title says it all really. Have a look and enjoy. According to BroadwayWorld.com Michael will be presenting the Sidney Brown Memorial Award at the Mercury Musical Developments 20th Anniversary Gala. This event is held at the Novello Theatre in London on Sunday 14 October. You can book tickets here. There has not been an official confirmation of his appearance yet though. Michael will be a guest on ITV's This Morning. To see him, be sure to tune in on ITV on the coming Tuesday (21 August). The show will be on from 10:30am till 12:30. Michael usually appears to the end of the show, but to be sure, you should watch it from the beginning. Sparked by a comment made by Andrew Lloyd Webber on TV WhatsOnStage.com has launched a poll searching for leading men in the West End. Voting is open until Sunday. Also Michael is supporting this great fundraising event on JustGiving.com. Maybe you will attend the game? 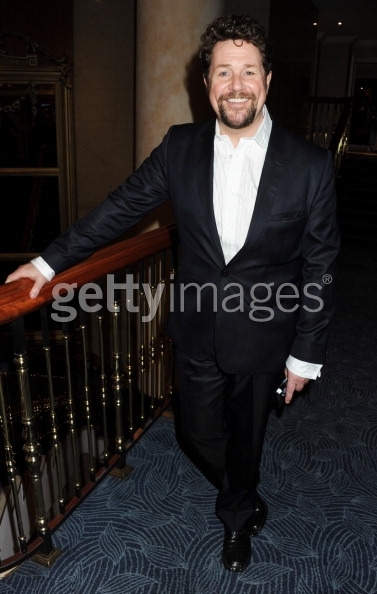 Last Friday Michael attended the O2 Silver Clef Awards. There are some lovely pics of him around the net. Be sure not to miss them. First of all: Happy Birthday, Mr Ball! Who would have thought you'd spend this day cutting throats?? This website celebrates it's 12th birthday today. And as the very reason for Justy's existence celebrates a milestone, we thought it would be appropriate to re-launch the brand new design. This is still an ongoing process so please bear with us. We hope you will like it! There are times, when we wish we were still children and now is one of them. Well rather, we would love to be children on 17 August 2012. The reason: Kids Week: QandA and Backstage Demonstration. 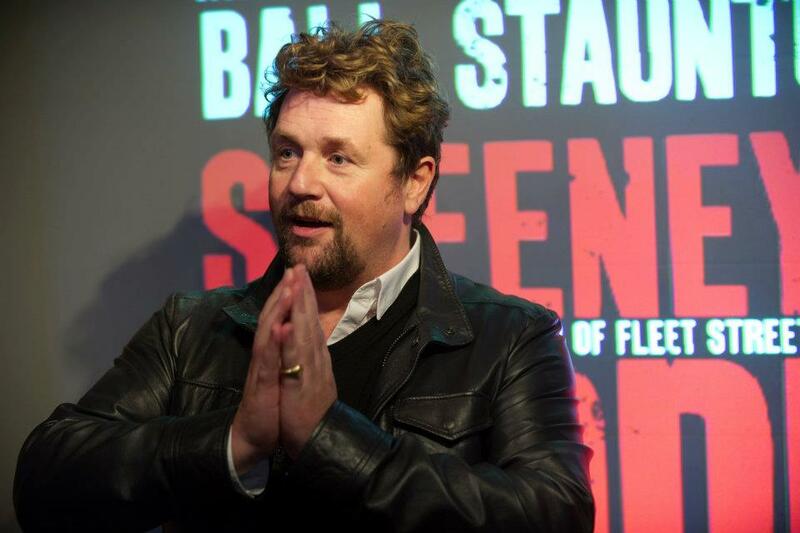 Join Michael Ball, the star of Sweeney Todd, for a pre-show Q&A, plus a demonstration of some of the backstage effects used in the show. Each year some of the best known musicals in the West End present bits of their show for free to the public. This year it will take place on 23 and 24 June 2012 on Trafalgar Square. 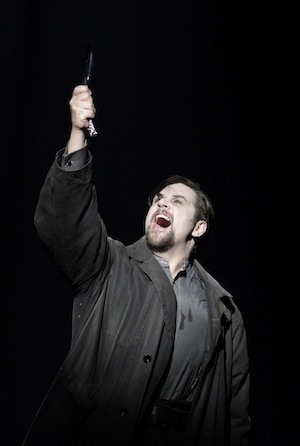 Sweeney Todd will be among the performing shows. We don't know, if Michael will be part, but if you are around it's always worth a visit and you should not miss it, if you are around. for more information visit their website. . Many agencies have released photos from the South Bank Sky Arts Awards. You can find them at Rex Features, Contactmusic orWire Image. Those with Sky set your recorders today as Michael and Imelda will hand over a trophy at the South Bank Sky Arts Awards. The ceremony will be aired at 9 pm on Sky Arts 1 HD. Enjoy! They announced today that Michael will be making a guest appearance on ITV1's Loose Women tomorrow (Tuesday, 24 April) . No confirmation as yet but worth setting your recorders just in case. The show is on between 12:30 and 1:30pm. The Criterion Theatre has a series called "Lunchtime with...". These are "a series of live, one-on-one interviews with some of the world's leading actors and actresses, currently performing in London's West End and other major theatre". Michael will be interviewed on Friday, 11 May at 1:15pm at the theatre. Imelda Staunton will be interviewed on 26 April. The interview will last 45 minutes. Tickets can be booked via Ticketmaster. See you all there! A day full of good news. We still mourn the fact that the Olivier Awards are no longer aired on TV, not even for a summarized repeat. However, we just learned that this year's awards will be streamed live on internet next Sunday (15 April). You will be able to follow online via olivierawards.com and bbc.com/radio2. It will start with the arrival of the stars on the red carpet on 5:30pm and you will be able to see all that will be shown on the Red Button feature that our UK friends know on BBC Television. Should you have forgotten: Michael and Imelda will be comperes for the Olivier night. It's a bit sad that Sweeney couldn't be considered for the nominations as it started too late, hence we hope for lots of nominations in 2013. However, it should be a great night out or rather in, with Michael. So be sure to tune in and enjoy our favourite Sweeney Todd leads. You really should tune in on "This Morning" tomorrow (Thursday) to see Michael. We are not sure, if he will be on to do an interview or if they visited Sweeney. However, tune in and have a look at Michael. This Morning will be on between 10:30am and 12:30pm on ITV1. We can share another lovely promotional trailer featuring Michael and Imelda. Have a look it's well worth it! If you own a Mastercard or now someone who does you can now buy tickets to attend - no, not the tale of Sweeey Todd, but the Olivier Awards hosted by Michael and Imelda on 15 April at the Royal Opera House. It has also been announced that Michael will be a guest at the Steve Wright Show on BBC Radio 2 this Wednesday (4 April), always on between 2 and 5 pm. Finally there are a few photos availabe which were taken at the record signing at Dress Circle. You can see them via this link. Or at Dress Circle itself. PS: The cast recording is available from online stores TODAY and already out of stock on Amazon! It has already been 14 days in the top 100 (Music) and is number 2 in the soundtrack charts! Congratulations everyone! UPDATE: By now (3 April) it is even at number 1 in the Soundtrack & Musicals charts on Amazon! Reelkandi has done a couple of interviews with the cast and audience members. Be sure not to miss it. Click here, scroll down a bit, then click on Theatre 24/7 and click on the Sweeney Todd logo to watch it. The BBC offers a lovely video clip, including an interview with Michael. You can watch it here. The Official Facebook page for Sweeney Todd in London shares this lovely video about the Press Night. The highly anticipated and (partly) dreaded press night for Sweeney Todd is over. The first reviews come flooding in and you can read them in our reviews section, which will be updated as the reviews come in. So far they have been oly raves with mainly 5 star and some 4 star ratings. well-deserved! Of course there have been quite a lot of photos coming in as well. For the start we have coverage from the usual sources. So be sure to follow our links to see some gorgeous photos of Michael, Imelda and Cathy. Additionally there have been some new production photos, which you should not miss. Finally, before we start the photo frenzy. 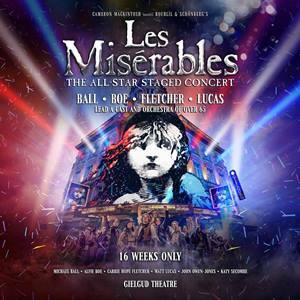 Amazon.co.uk has posted some sound clips of the Cast Recording. Be sure to listen and, should you like it, pre-order. The album will be published on 2 April 2012. Some lucky souls can already buy it in person at the Adelphi. Although Press night is only tomorrow there have been plenty of blogger reviews online recently. 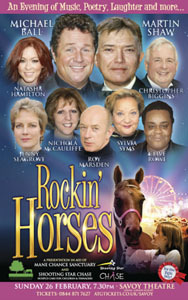 The cast recording will be available from the shops from 2 April 2012. You can pre-order your copy here. Michael and Imelda were guests at Graham Norton’s BBC Radio show on Saturday. You can now listen to the interview here (there is also a lovely picture). Further to that Part 2 of their radio interview with Magic Fm was recently added to the website. You can find it here. 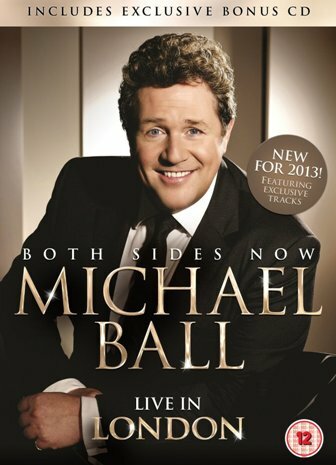 Remember that Michael will be appearing at Alan Titchmarsh on Tuesday (20 March). Dress Circle has announced that Michael and Imelda will be there for an exclusive record signing on 31 March between 12 and 1 pm. Shooting Star There will also be a charity evening in aid of Shooting Star and the Royal Theatrical Fund on 22 March with Meet and Greet. Tickets for this special Sweeney Todd performance are available via this link. 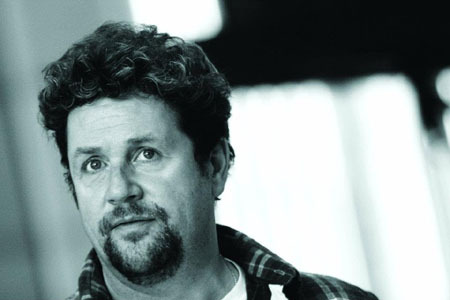 23/02/12 - London Evening Standard "From Hairspray to demon cuts: why Michael Ball had to play the barber"
29/02/12 - London Evening Standard "In New York we're starved of plays, says Stephen Sondheim"
02/03/12 - A Younger Theatre "Spotlight On: Michael Ball"
On 25 February the cast came together to do the cast recording for Sweeney Todd's London adventure. They are trying to get it ready for the Press Night on 20 March (available at the theatre) and it will probably available to non-theatre goers online and in the shops in the beginning of April. 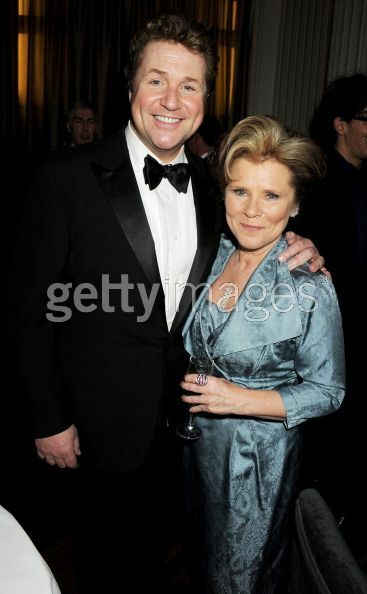 Michael and Imelda will be on The Jonathan Ross show on 3rd March 2912 to promote the upcoming Sweeney Todd in London. So be sure to tune in and watch on ITV 1 at 9.20pm. .
Chichester's Sweeney Todd has just won its very first award, hopefully of many more to come (fingers crossed). Michael accepted "The LUCKINGS best regional producation" award for Sweeney Todd. You can see a picture of Michael arriving for the awards following this link. Michael can be seen on picture 23. And we are sure there will be some more pictures soon from the Whatsonstage website. Pointless dedicated a whole question to Michael's musical career. An explanation for those who don't know Pointless: Three teams compete for the win. At this stage only two teams are left. 100 people are asked one question. Now the teams have to come up with an answer that is correct, but ideally no one has given this answer. The team that has the answer with the fewest right answers will get the point. Here the question was: Name as many Michael Ball West End Musicals as you can. You can see the bit here ad below the clip there are the correct answers with the numbers. Now, would you have known all of them within one minute? Most of you have already heard of the Whatsonstage Awards (awarded by whatsonstage.com). Michael has won these awards for Edna and Count Fosco in the past. MIchael will speak on behalf of charity Stage One. Should you want to see him, there are still some tickets left. The ceremony will take place on 19 February at 7pm at the Prince of Wales Theatre (home to Aspects of Love in 1989). Just click here to get tickets. Another short but sweet little talk with Michael and Imelda. Enjoy. .
Michael and Imelda were being interviewed by Gaydar radio. They filmed the interview and uploaded it to Youtube. You can watch it here. Enjoy. Beginning on 21 February (Tuesday) Michael will host a six-part series on Songwriting Partnerships for BBC Radio 2. It's a one-hour-programme and will be aird at 10 pm. Find out more on the BBC's website. Michael and Imelda Staunton have done a promotional interview with Ticketmaster and you can watch it here. 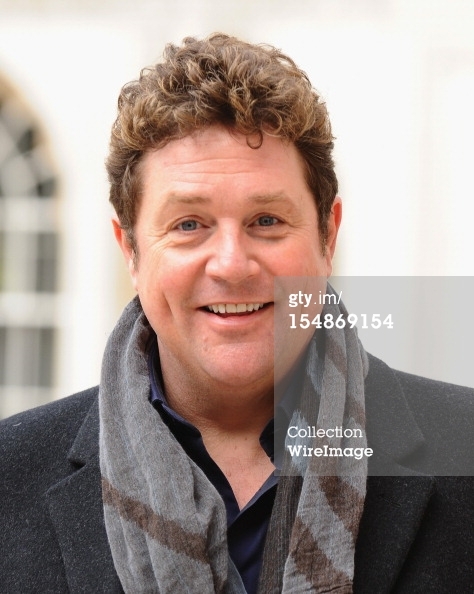 Yesterday saw the Press Launch Event for Sweeney Todd in London. 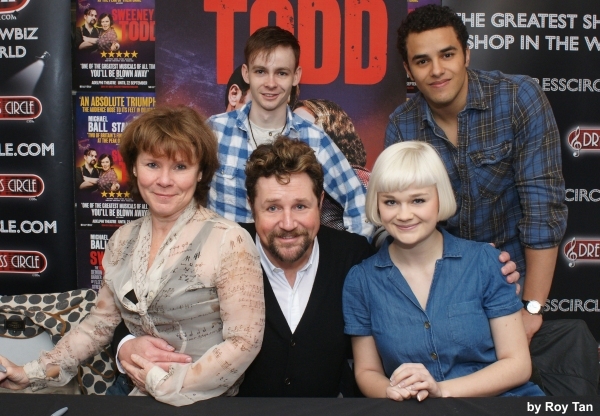 You can see some photos from the Event on Sweeney Todd London's Facebook page. You can see the photos here. 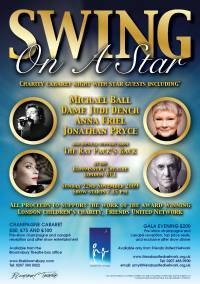 On 26 February 2012 Michael will be heading a prestigious lineup for a charity concert at the Savoy Theatre in London. It's called Rockin' Horses and will be an evening of music, comedy and poetry (performers include Martin Shaw, Christopher Biggins, Natasha Hamilton, Jenny Seagrove, Nicola McAuliffe, Roy Marsden, Clive Rowe, Hardeep Singh Kholi and Sylvia Syms). It will be raising money for Shooting Star CHASE and the Mane Chance Sanctuary. Tickets range from £55 (includes a glass of champagne, programme and best seats) to £25 and are available from the box office (0844 871 7627) or online. Enjoy! Don't miss Michael's comments on BBC 4`s "The Story of Musicals", episode 2, which will air on Tuesday, 10 January at 9 pm. You can still listen to Michael profiling Leslie Bricusse for BBC Radio 2 via this link. The Sondheim Society has released a very interesting Q&A session with Michael, which can be found on their website. Furthermore, they have gathered many reviews for the Chichester production, which can be found here. And we generally recommend the website in general for your perusal. Well worth keeping in your favourites! We have been informed the the Doris Day interview scheduled to be aired at 9pm on 25 December is now being aired at 7pm that same day. Find all the information here. 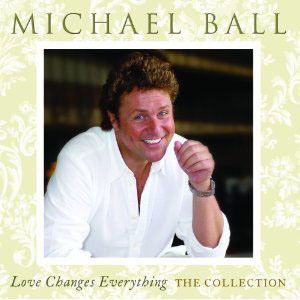 On 16 January 2012 a new compilation called "Love changes Everything" will be released. The matrieal is not new but that's probably the point of a compilation. Find all the info on our album page. Sweeney Todd is nominated as Best Regional Production at the WhatsOnStage Theatregoers' Choice Awards. (YAY!) You can vote here: vote for Mr Todd. Voting colses on 31 January 2012. The ceremony will be held on 19 February 2012. You can buy tickets for this event here. The Heroes DVD entered the official Music DVD Chats at number 6. Congratulations for that! And well-deserved. It captured that night in Birmingham brilliantly. 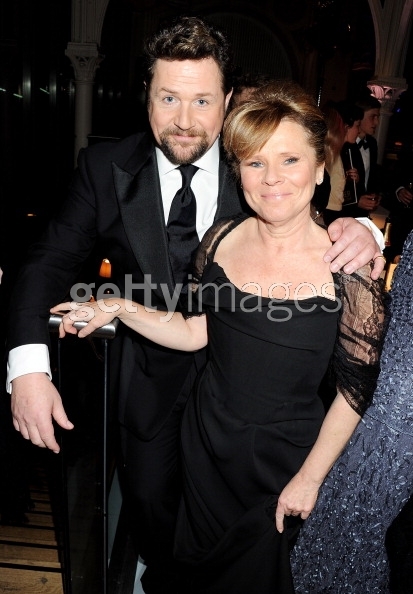 PC: I've heard you have recently seen the new production in the UK starring Michael Ball and Imelda Staunton , yes? PC: I've also heard you are a big fan of it, is that true? SS: I thought it was wonderful. As a matter of fact, I stayed to see it twice - I was just going to go once to take notes and then go up to London the next day, but decided to stay in Chichester just for the sheer pleasure of seeing it again. SS: Exactly. 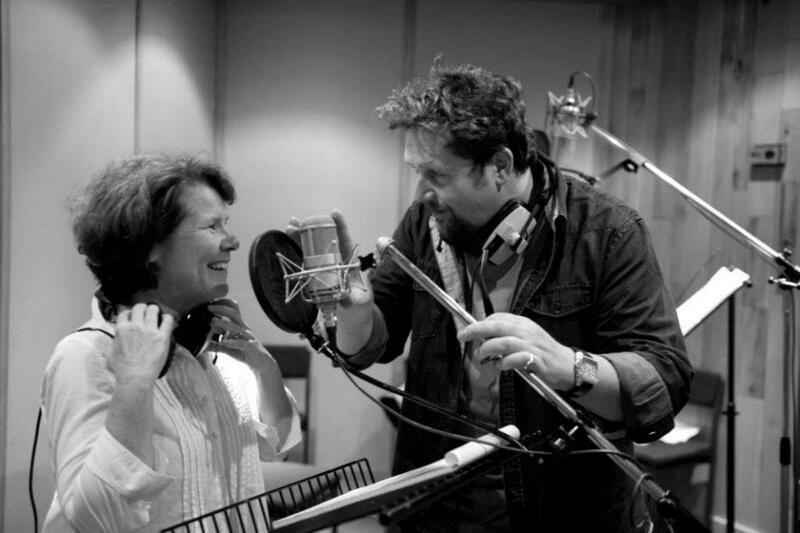 The two of them - Imelda Staunton and Michael Ball - are remarkable. Just remarkable. PC: Is it true she was considered for the film version when Sam Mendes was at the helm in early pre-production? SS: Not that I know of. PC: Russell Crowe was being bandied about, was he not? SS: Oh, Russell Crowe - I remember his being bandied about. But, no, I never remember her being up for it. PC: Will this production be transferring soon then? SS: Yeah, it's going to the Adelphi Theatre on March 10. PC: It's definitely happening, then! While there might not be too much on there yet, it already is looking rather nice: The official Sweeney Todd goes West End website. Enjoy! And don't forget to book your tickets which will go on sale tomorrow (11 November). UPDATE: Tickets are on sale NOW! (10 November) via Seetickets. One of the worst kept secrets ever is finally officially out. Sweeney Todd will find its way to the West End and maybe later on to Broadway. Sweeney will be back cutting throats at the Adelphi Theatre. 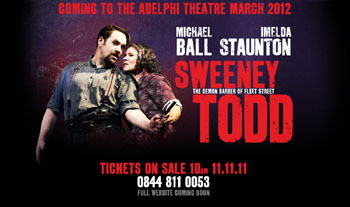 According to the Fan Club Michael's first performance as Sweeney Todd will be 10 March 2012 (Previews start). The last performance will definitely happen on 22 September 2012. Michael's holiday is supposed to happen from 30 July 2012 and will last two weeks. The dates could still change. As soon as we have more news, we will post them and now off to Chichester for the final Sweeney's in Chichester. 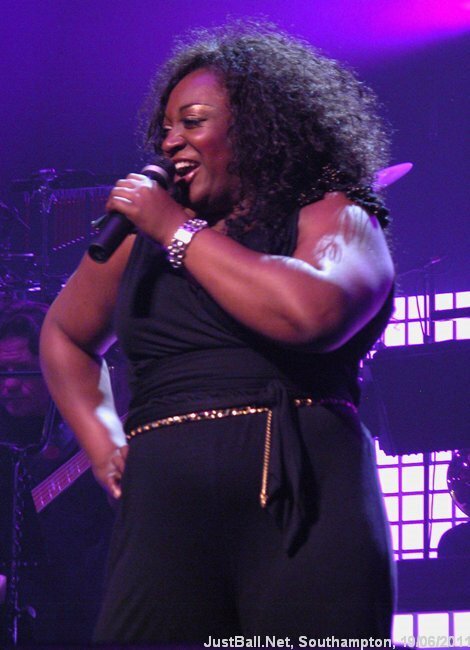 Many of you will remember the phenomenal Sandra Marvin from Hairspray and Michael's recent Heroes tour. She has now launched her own website and we hope many of you will visit her there: Sandra's website. On Monday Whatsonstage.com will be publishing an interview with Michael. There is a lovely preview of it on Youtube. Be sure not to miss it. Ian Maurice from Radio 4BC in Brisbane, Australia, went to see Sweeney Todd in Chichester and interviewed Michael there. You can listen to the interview at the Sondheim Society's website. Click on play at the podcast player at the button right side. Enjoy! This morning we received a lovely Mail from Universal. There are some promotional Video clips for Michael's upcoming DVD release (14 November 2011). You can watch them below. The Fan Club informed us, that unfortunately Michael will now not be appearing at the Weekend Wogan in Aid of Children in Need concert on Sunday, 30 October in London. This concert had been agreed on prior to his Sweeney run and now it's clear that he needs the Sunday off to recover from this exhausting role. Apparently there might be some form of TV appearance in support of Children in Need in the pipeline which will happen after 5 November. After this very favourable article with the first glimpse of Michael in costume, the Chichester Festival Theatre website now boasts several production photos. 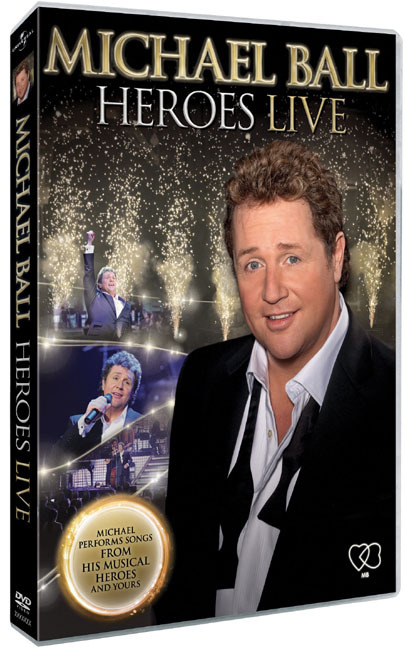 Also they have introduced a competition where you can win a collection of Michael's DVDs (including new release Heroes, which will be available from 14 November). Naturally we have updated our Sweeney Todd page accordingly. Michael and Imelda were interviewed in BBC Radio 3's In Tune programme. You can listen again here. The Interview starts about 33 minutes into the show. Wow, it's end September already. When did that happen? All of a sudden Sweeney is upon us...Break a leg everyone in Chichester! It is the first preview tonight. Exciting times! Finally some rehearsal photos appeared and what can we say? Looking mighty fine! How would you like to raise money for Children in Need whilst in the company of Sir Terry Wogan , Gary Barlow , Michael Ball , Joss Stone and many more wonderful artists? On Sunday 30 October, Sir Terry Wogan takes his Radio 2 show to the Savoy Theatre on the Strand for the BBC's Children in Need charity. Continue reading. And finally Michael shares a duet with Alfie Boe on his latest album called Alfie. They duet Empty Chairs at Empty Tables which is an interesting concept indeed. You can order the CD here. The album will be released on 31 October. While we had to bid farewell to Sunday Brunch for 2011 this Sunday (sob sob) it has been announced that Michael will participate in BBC Radio 4's "The Reunion" programme which "reunites a group of people intimately involved in a moment of modern history". In this particular case the group will discuss Les Misérables. 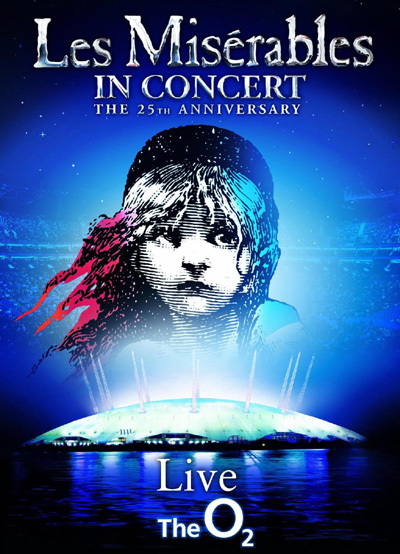 Along with Michael the group will consist of producer Cameron Mackintosh, composer Claude-Michel Schonberg, lyricist Herbert Kretzmer and director John Caird. The episode will be aired on Sunday 11 September, 11:15 am. Unfortunately next week (4 September) will see Michael's last Sunday Brunch for this year, although it will only be the seventh show of this run. According to the BBC Michael and our most loved radio show will be back in January. We don't have the exact date yet, but of course we will let you know, once we know. Universal was kind enough to send the final cover art for the upcoming Heroes DVD to us and asked that we would share it with all of you. Our pleasure! 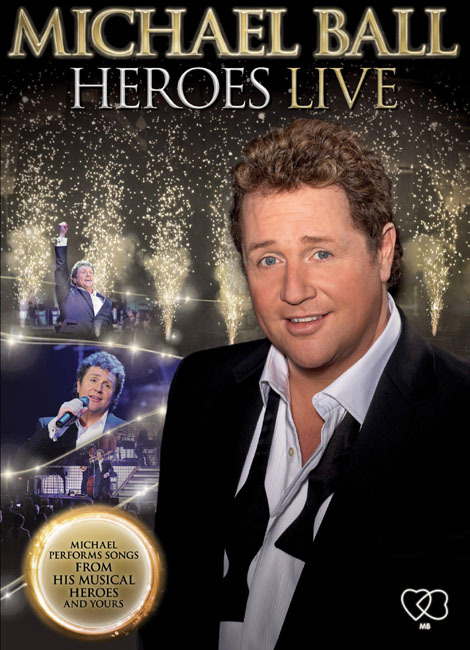 Heroes Live will be released on 14 November. Click on the pictures for bigger versions. On Wednesday 27 July at 8 pm Michael will appear in ITV's "50 Greatest Harry Potter Moments" celebrating the end of a decade of magic. 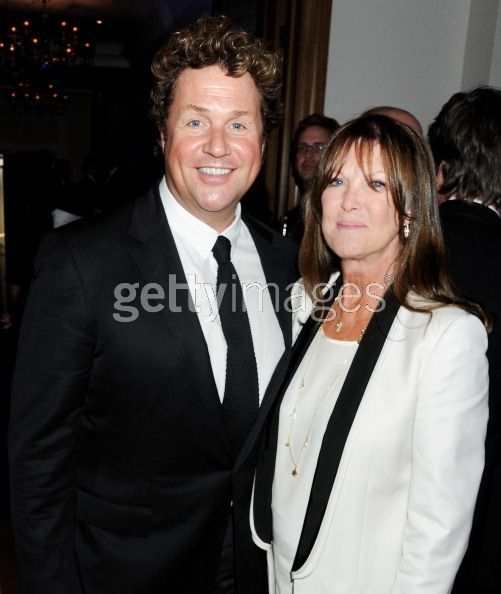 Last night Michael and Cathy attended the press night of the new West End musical Ghost. There are some pictures on several photo agengy websites. Be sure not to miss them. There are two lovely pictures on Getty. It has been confirmed that Sunday Brunch will return to BBC Radio 2 on 24 July (at last!). We do not yet know whether he will do 12 weeks again, so the final few Brunches are labled with a (?) in the schedule as they coincide with Sweeney Todd. But anyways, we cannot wait to tune in again at 11am (UK time). An update on the Sunday Brunch front: It will still be Terry Wogan on the 3rd of June, so fingers crossed for the next week! Talking about radio - here you can find some photos and a video with Michael having fun at "2 Day". The full-length performance, including the songs I Can't Help Falling In Love With You , For Once In My Life , Avenues and Alleyways as well as some of Michael's classics such as One Step Out of Time , Love Changes Everything plus many more. During the Portsmouth concert Michael announced that Sunday Brunch will be back on 3 July. So get your diaries set and don't miss it. Furthermore MIchael will be participating on BBC Radio 2's "2 Day". on Wednesday, 22 June. He will be on at 2pm together with David Jacobs. 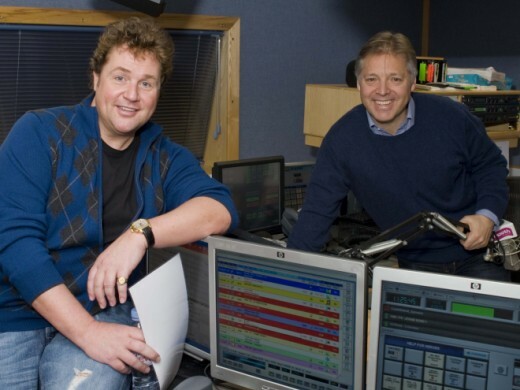 "Michael Ball and David Jacobs join forces live on 2DAY as they present the very best of the Sunday schedule. Reflecting the mood of Sundays with great music from the 40s through to the present day. Desmond Carrington phones up for a chat live from his home in Scotland, plus there's an exclusive live performance from Michael Ball." (BBC Radio 2). So, busy times ahead, be sure not to miss it. So keep your eyes peeled to his Twitter account and of course we will inform you. As to Michael: Get better soon, take care and hope you'll get some TLC! The Chichester Festival website has launched a video of interviews on the upcoming season. 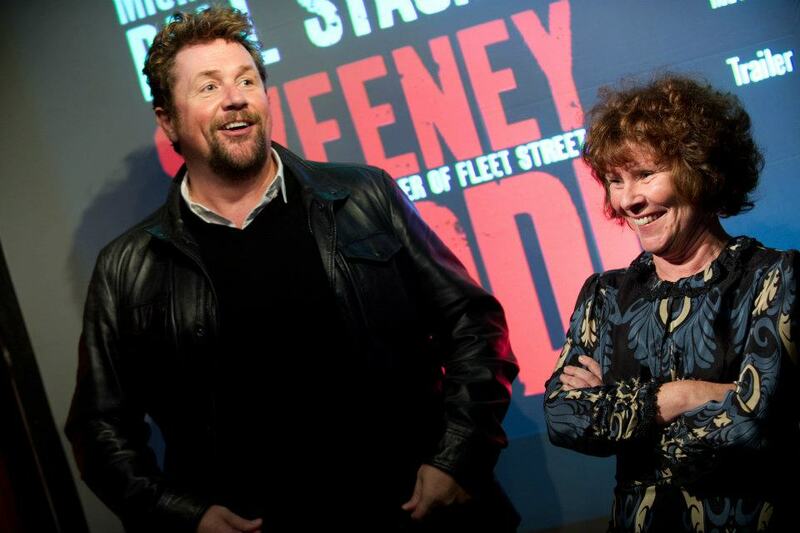 See what Michael and Imelda Staunton have to say about Sweeney here. 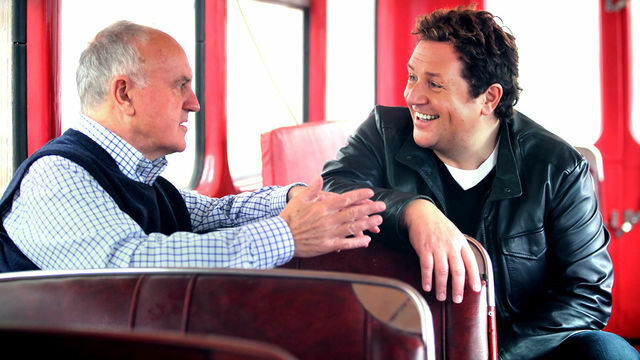 You can watch Michael today (3 June) on BBC1's The One Show at 7 pm. So set those recorders everyone! Click image for high-resolution version. The TV Choice Awards are voted for by the public. 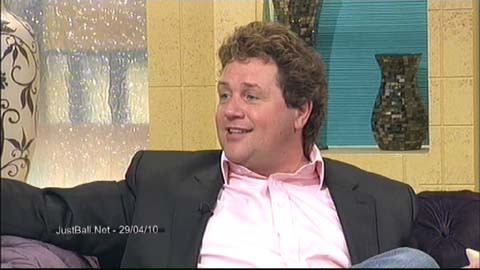 This year The Michael Ball Show is among those nominated for Best Daytime Show. With a few simply clicks you can cast your vote in nearly 20 categories (or only vote for Michael's show and skip the rest;-)). Happy voting! Also Noel Fitzpatrick has uploaded some more photos of Michael and the ward opening on a Facebook page. Enjoy! On his Twitter page Noel Fitzpatrick published a few photos from the opening of the "Fritz Ritz". Read all about Freddie's big day on Twitter and on the doctor's website. 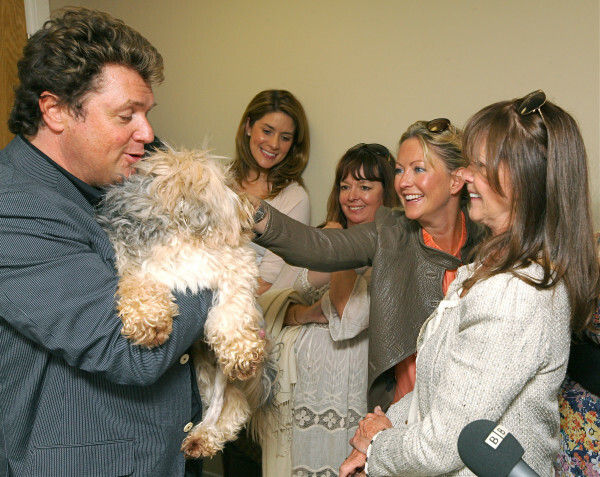 In addition to opening the new facility, Michael Ball will have the â€˜see out consultation' for his dog, Freddie, who has been recovering after a major hip operation at the practice. Freddie is one of only eight dogs in the world to have a revolutionary new kind of hip replacement put in after he was involved in a traffic accident which destroyed his hip. In addition to the appearance on Paul O'Grady the Fan Club lets us know that Michael will also be a guest at BBC Breakfast on 23 May between 6:00am and 9:15am. The BBC2 website lists Michael as one of the guests on tonight's Never Mind The Buzzcocks episode (10pm). This should be a repeat from 2 December 2009. So if you missed it back then, now's your chance. Also you can note down 20 May, as Michael will then be a guest at Paul O'Grady Live, 9 - 10pm, ITV1. "Mr Watson, who is just about to embark on a nationwide tour with the Michael Ball show Heroes, gave workshops using music and dance from shows such as Mama Mia, Chicago and Cats as well taking some inspiration from popular chart tracks." You are bidding on a totally unique Hairspray themed egg signed by one of Britain 's leading musical theatre stars, Michael Ball. Michael is an Olivier Award winner, multi-platinum recording artist and popular TV host and radio presenter. 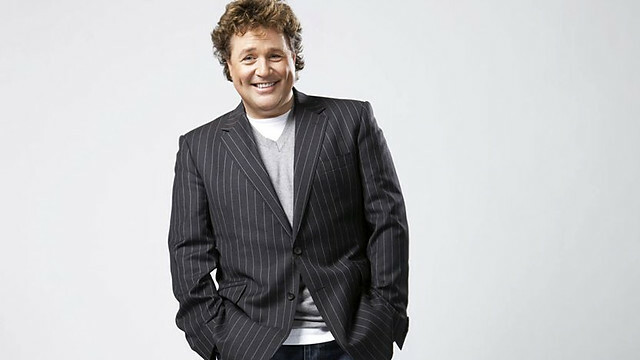 Since making his West End debut 25 years ago as Marius in the original production of Les Miserables, Michael has created a string of leading characters in the West End and on Broadway in shows such as Aspects of Love, Passion, Chitty Chitty Bang Bang, Phantom of the Opera, Woman In White and Hairspray. In the multi award-winning Broadway musical Hairspray Michael played larger-than-life Edna Turnblad, for which he won both the Whatsonstage.com and Laurence Olivier Awards for Best Actor in a Musical. The egg contains jewellery worn by Michael in this stage show . Here is the link to the auction. It will end on 26 April 2011. Happy bidding! On 31 March Michael will be a guest at Fern Britton's new show on Channel 4, 5:00 - 6:00 pm. 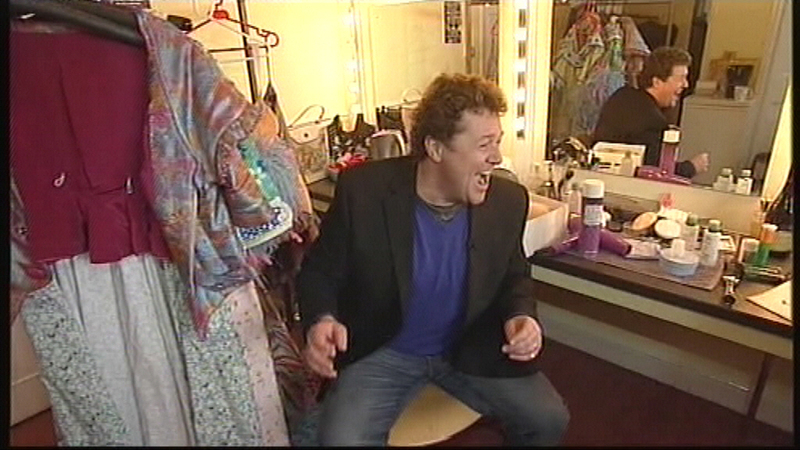 Watch Michael talk about Heroes, Les Mis and Sweeney on reelkandi.tv for 6 minutes. Enjoy! Heroes entered at position ten. This is the first top ten position since First Love in 1996! Congratulations Michael and very well done! BUT: You have the chance to have Michael as a follower on Twitter. He will follow you for 90 days, he will re-tweet at least one of your tweets and send a tweet including your twitter name. 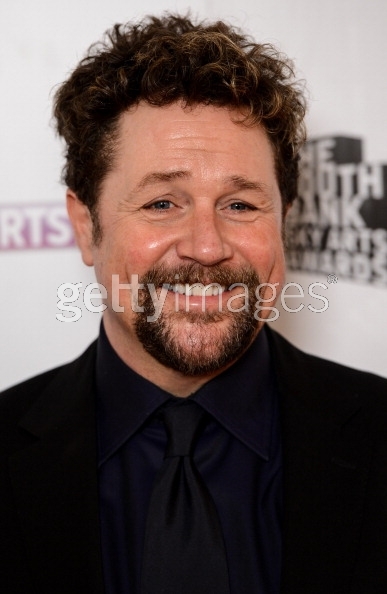 So, yes, you have 90 lovely days with our Michael Ball. And Michael being Michael you even get a bonus, you will be able to stammer just live in front of him as he invites you to see one of his Heroes concerts and you will be invited to come backstage at one of the concerts. As we all know that's when most of us are at the worst ever state to meet Michael, in a post-concert high, but still you will surely enjoy it! 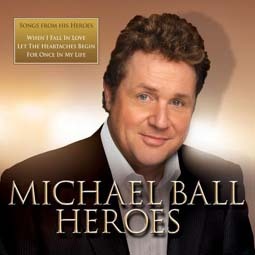 So hurry, get your bidding hat on and move over to Ebay and bid for our one and only Michael Ball. Also Michael's official Facebook page has now a video welcome message from the man himself. Check it out! Michael seems to have done a brilliant job according to all the lovely and good comments that can be read here and there on the web. The not so perfect news though: The categories where Love Story was nominated were won by other productions. Best female lead goes to Sheridan Smith for Legally Blonde. She will be Michael's guest on next Sunday Brunch. Should be interesting so don't forget to tune in. Best male lead went to Passion's David Saxton. Feels weird and a bit like: Correct role, wrong actor and 15 years too late ;-). And the best new musical went to Legally Blonde as well. Once we find pictures of Michael, we will let you know. Unfortunately we are not able to receive the "Red Button", but that means "The Book Club" clip will be on soon. The air time for The TV Book Club featuring Michael has changed. It will be shown tomorrow (Sunday, 13 March 2011) at 6:30pm on More4 and is going to be repeated on Channel 4 at 12:05 noon on 14 March . Yes, unfortunately that first date is going to collide with the Oliviers! And guess what: Coming Home is going to be repeated on BBC Wales at 6pm as well. So that gives us Michael on three channels at exactly the same time! Sorry for the very late heads up, but Debbie on the forum only found out about it last night. Thanks for that Debbie! 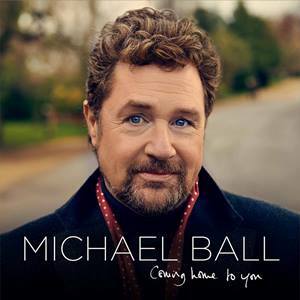 Good news for us overseas fans and for the national Michael Ball fans,who have to work tomorrow morning, but might have access to the internet. QVC' Morning show,where Michael will be interviewed and will be singing three (!!!) songs (New York State of Mind, Play Me,For once in my life), is aired live on the internet and as I just checked, it can be watched from abroad! So, should you havea chance,be sure not to miss this one:Click here for the live coverage, tomorrow (Thursday) at 9am! And do not forget to watch him on QVC tomorrow at 9 am. These days we don't dare shutting down our computers. Not an hour seems to pass without something new to tell about Michael. All I wanted to tell you this evening was, that you should have a look at Michael's Official website that underwent a terrific reformation. Be sure to check MichaelBall.co.uk. However, as you can see by the heading: We are not going to be able to listen to Michael broadcasting from the Olivier Awards as he is going to present it together with Imelda Staunton. You can watch it live on BBC Red Button or listen to Radio 2's coverage. Click here to read the press release. More and more celebs get active on Twitter and Facebook. And guess who is among the latest? You guessed right. Michael promised to give Twitter another try and he recently opened his own Facebook page and Youtube Channel. So be sure to check them out. Michael is back on Twitter! Join him here and be there when he takes over the world. Also don't forget to watch him on Lorraine in the morning. The BBC have confirmed Michael's live coverage from the Olivier Awards in a press release. There will be many TV appearances over the next few days to promote the new album. We will keep you updated. 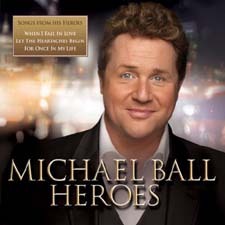 You can listen to samples of all songs on Michael's new album Heroes here on Amazon. Enjoy! Scarborough has a lovely new refursbished and huge Open Air Theatre (6500 seats). Their 2011 season is about to be announced shortly and the Scarborough Evening News just mentionned in an article that Michael Ball is one confirmed act. So will this be the first (or maybe only) summer concert for Michael this year? We certainly will keep you posted on this. For now this is stricly in the rumour category. The Daily Mail published a highly interesting article of Michael remembering his school years. 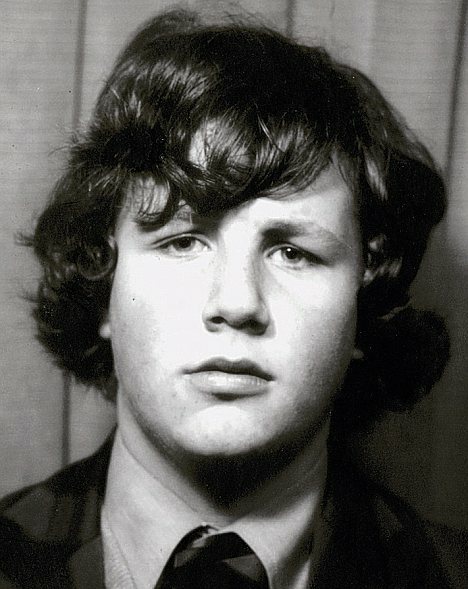 And it features this photo of him as a 14-year-old. Don't miss out! We finally received the official confirmation and the press release regarding the release of the upcoming Heroes album. The album will finally be released on 14 March 2011!!!! And the artwork will really be the new one. Good news :-). And as always, you can pre-order here. Once more Michael will be sitting in for Lorraine Kelly and it will be the whole of the upcoming week. The be sure to set your recorders to ITV 1 between 8:30 am and 9:25 am. The following week Michael will be a guest on Lorraine's show. That will be on Wednesday, 2 March 2011. Once we hear about more TV or newspaper "appearances" we will let you know. 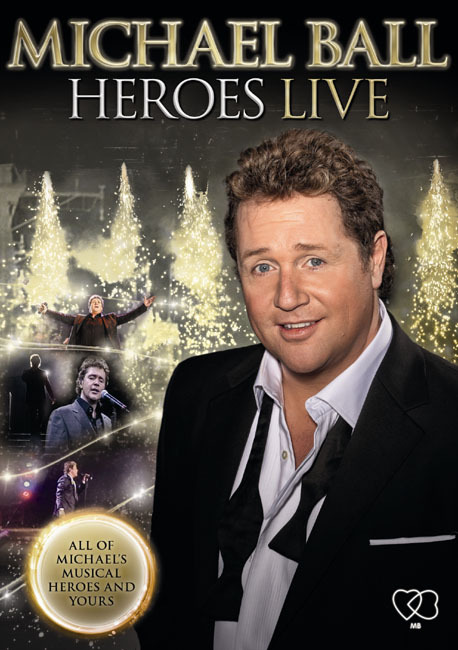 One of the longest ever anticipated shows (well for Michael Ball fans) has just been announced. Michael will be appearing in and as Sweeney Todd, the Demon Barber from Fleet Street. So you are eager for the details? The show will run from 24 September till 5 November 2011. 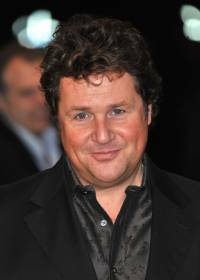 Michael will be joined by Imelda Staunton as has been mentionned quite a lot of times. To see Michael you will have to get to the Chichester Festival Theatre. Tickets will go into public sale on 28 February 2011 only via mail or internet. So time to work out your travel plans. For a couple of days there have been rumours about a delay of the release date of Michael's upcoming album. This was mainly due to the big re-salers Amazon and HMV changing the release date to 21 March 2011. Now Play joined their bandwagon and we get more and more sure they might be right, especially as Play has a different cover now.Changing the cover so late certainly seems a good enough reason for postponement. However, you can still pre-order here. Now the big question. Should this second cover be the real one? Which one do you prefer? Great Olivier Awards news. Not only have Emma Williams and Michael Xavier been nominated for Awards in the categories of best Actor and best Actress in a musical, but we will be able to enjoy quite a bit of Michael. According to the Official Olivier Awards website and Michael will be presenting a live Radio 2 programme to coincide with the awards ceremony. The ceremony will take place on 13 March. Michael's guest was Tony Christie and though Michael never plays himself he used this special occasion for the world premiere of "Avenues and Alleyways": A song he duetted with Tony Christie himself for inclusion on his upcoming concert. Sunday Brunch was just uploaded. So you can listen to the track now. Just visit this link and fast forward up to 1:33:15 and there it is in full length. Alternatively a fan on the Fan Club Forum uploaded a clip of the song here. Thanks to Play.com we now have the song-list and the supposedly cover art for Michael's upcoming album Heroes (pre-order here). There are several more interviews where the date has not yet been set. Another well-deserved nomination for Edna. Michael is nominated for the M. E. N. Theatre Awards 2010 in the category "Actor in a Visiting Production". Other nominees in this category are Christopher Connel, Bob Golding and John Owen-Jones. Furthermore Hairspray got its own nomination for Best Musical. It is competing with Les Mis, The Sound of Music and Spamalot. The winners will be announced in February. So keep your fingers crossed. Michael, Emma Williams and Michael Xavier will tomorrow be interviewed on Colourful Radio. You willl be able to listen to the interview live at 11:30am. Should you miss it, the show will as well be on Listen again. And after that Michael will be heard on BBC Radio Derby. The show will be on between 1 and 4pm. Again you can listen live or listen again. Michael launched a camaign in aid of "Help for Heroes". You can send a text and it will be displayed on screens put up on Princes Street in Edinburgh. You can see the complete info on the pics, just follow this link. Or just let Michael himself explain it to you. Just see this youtube clip. Sunday Brunch will be back on 16 January (at last!). Here's what the BBC Press Office says. Tomorrow (21 December) Michael will appear on BBC2's Never Mind the Buzzcocks. It's on from 10:45 - 11:15 pm. Michael has kindly agreed to auction off the chance to meet him and have exclusive backstage access on his Heroes Tour next year. Winner & 1 Friend will get the chance to go to one of the dates on his Heroes Tour and watch Michael as he sound checks for the show. They will then have dinner with and a chance to chat with Michael backstage and then get 2 tickets to watch the evening performance. Signed goodies will also be provided. The prize will be auctioned on Classic FM as part of their Christmas Appeal on Wednesday 15th December at approximately 07:15 to 08:15. The money raised will help Classic FM fund over 4,000 music therapy sessions for children living with illness, disability, trauma or isolation; transforming their lives through the power of music. To all those having a go at bidding, good luck! UPDATE: The successful bidder won the price for 3000 £. Congratulations! Tomorrow (Friday, 10 December 2010) Michael will be interviewed on Smooth Radio. You will be able to listen live to the interview via this link. He will be on at 11.25am. Curiously there is as well an interview with Michael online you can "listen again" to. This weeks DVD charts are quite interesting. Michael's DVD "A Life on Stage" entered on 8th position, meanwhile the Les Mis Celebration DVD entered in top position. Have a look. Michael will be on the Alan Titchmarsh show tomorrow (Tuesday, 30 November). You can watch it on ITV 1 starting at 5:00 pm. Furthermore Michael's Welsh ancestry was uncovered for BBC One Wales show "Coming Home". Michael will be featured within the episode that is going to be aired Wednesday, 8 December from 7:30 - 8pm. Please note that this can only be viewed on BBC One Wales. Michael will appear on BBC Breakfast today (29 November). The show is on BBC1 from 6:00 am - 9:15 am. Enjoy! PS: Sorry about being late with this. We had a bit of a travel nightmare, getting home from snowy Dublin. Michael will be appearing on RTE's Daily Show on 23 November at 4:50 pm. Enjoy! 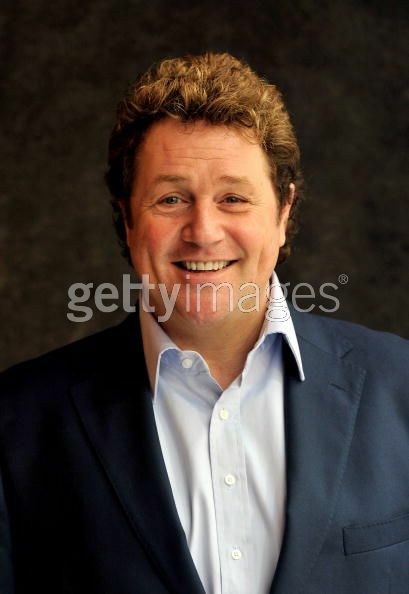 Don't forget to book tickets for Love Story, which will open on 27 November at the Duchess Theatre in London and is produced by none other than our Mr Michael Ball. 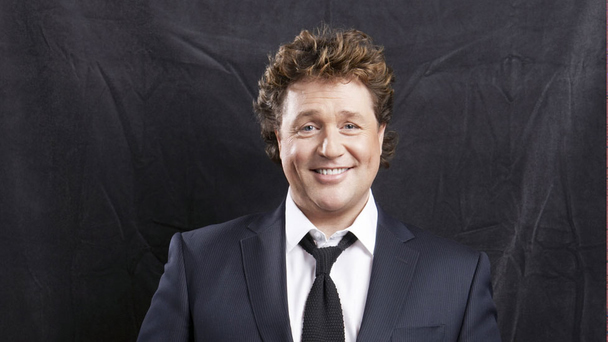 MICHAEL Ball has landed a second series of his teatime show. ITV bosses were delighted with the success of the musical star's weekday slot earlier this year. They now want Michael to do another four weeks. A source said: "Michael was a gamble as he is fairly new to the chatshow thing. But he's quite a down-to-earth guy and people like that." Ball's show is expected to become a permanent fixture, alternating with the Alan Titchmarsh Show. About two million tuned in to the last series to see guests including Terry Wogan, Arlene Phillips and Fern Britton. Universal was so kind to send us the offical trailer for Michael's new DVD "A Life on Stage" released on 29 November. It includes a preview of the behind the scenes bits, too! Enjoy! In aid of the Great Ormond Street Children Hospital there will be a celebrity star cards auction. Michael signed one and you will be able to bid for it between 25 November and 5 December. To view his star card now click here. For more information about the star cards auctions click here. Tickets go on general sale on Friday 12 November at 9 am. You can buy tickets at Ticketmaster, Seetickets or the venues themselves. We were sent the links to two clips (Mercy and Empty Chairs) of Michael's upcoming DVD release "A Life on Stage" as well as a large version of the cover to share with you all. Enjoy! Click cover for a larger version! On 10 November Michael will be appearing at the Pride of Britain Awards (ITV1, 08:00 - 10:00 pm). 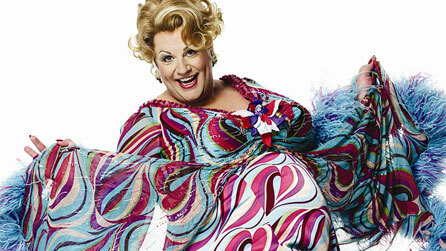 He will be back as Edna at London's New Wimbledon Theatre for a two week run from 15-26 March 2011. To obtain tickets click here. For the press release click here. 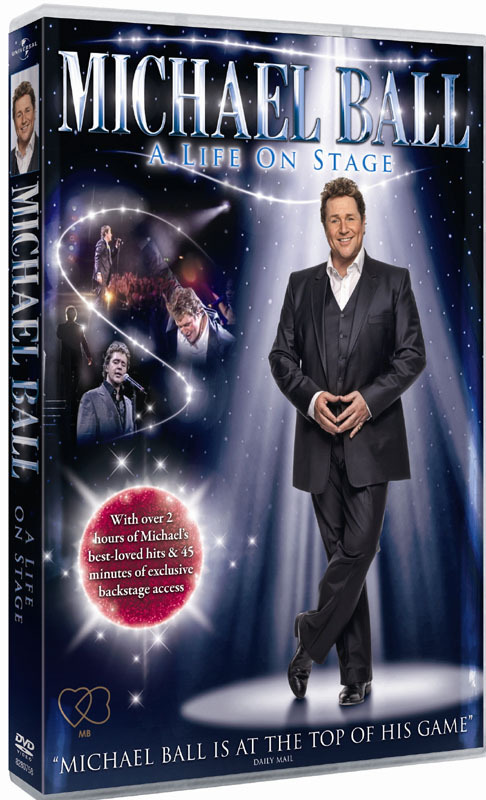 If you want to have a seak peak of the new DVD "A Life On Stage" visit Amazon's page and see Michael introducing the "making of" bit. Enjoy! It has been announced that there will be a second Birmingham concert next year. The additional show will be at the Birmingham Symphony Hall on Saturday 11 June 2011. Tickets go on general sale on Friday 29 October at 9 am. You can buy tickets at Ticketmaster, Seetickets or the venue itself. Michael will be releasing a DVD covering his favourite 25 songs from previous concert DVDs. Furthermore it will include 45 minutes of specially filmed bonus material. 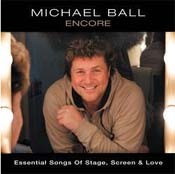 Michael Ball - A Life On Stage will be released on 29 November 2010 - Order here. 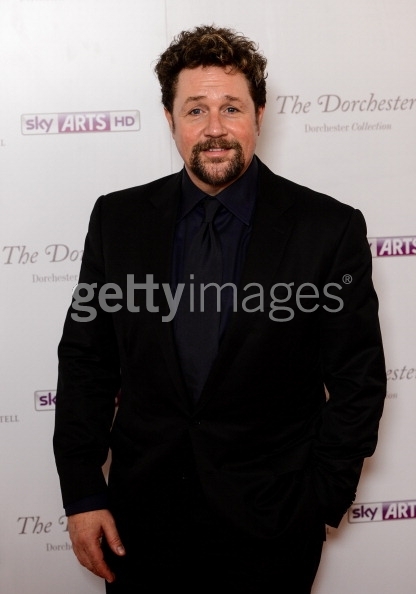 Furthermore Michael was part of the 25th anniversary party of Les Mis at the O2. You can order the DVD here. 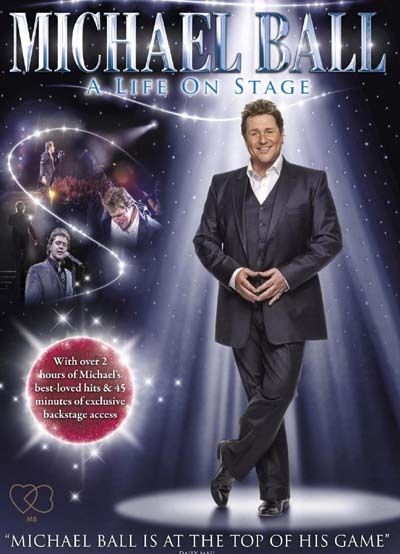 More info can be found in the press release for A Life On Stage and on our DVDs page. As we heard from many of you the Shooting Star concert must have been brilliant. You can see some pictures of the special event on our concert photo pages. And hopefully there will be some more pics coming up. For now Philip Schofields pic from his twitter page has to to. Finally they are there to be published: The long, long awaited dates for Michael's 2011 UK Tour. The sale for the general public starts at 24 September (Friday), 9 am. You might want to check Ticketmaster, Seetickets or the venues themselves. Naturally we have our own Tour page up and running now. Apologies for missing out on telling you about Michael's contribution to BBC Radio 2's new series called The Musical: "A series of documentaries celebrating the most popular and successful form of theatrical entertainment in the world. Each programme is presented by a leading name from the world of musical theatre." There are 8 episodes and Michael hosted this week's called Breaking the Mould. It it still available on listen again. The series is on every Monday from 10 pm. There is a new interview with Michael in the Daily Mail. It has some interesting news about the ratings of Michael's chat show, which are brilliant. Furthermore he talks about his upcoming album and the tour and last but not least about Cathy. Hope you will enjoy it. Michael will be singing during the first Monday show and on Friday, 20 August. 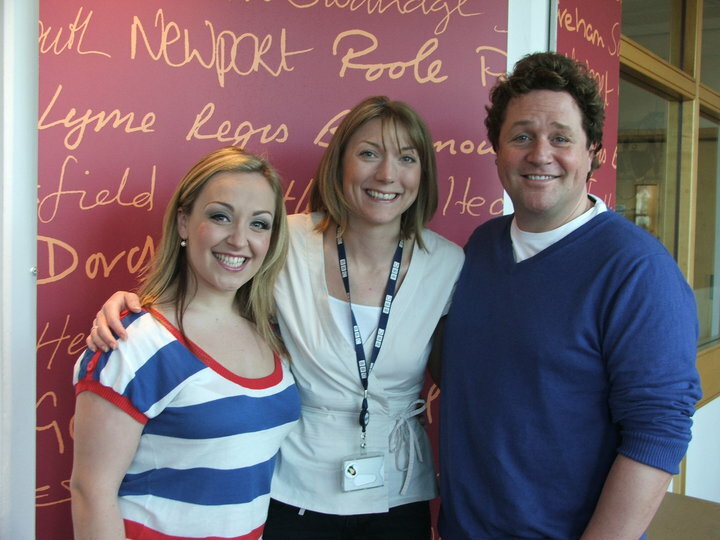 Find the guests for the following weeks on our Michael Ball Show page. As you all know by now Michael starts recordings of his own TV chat show today. They will be aired from next week on and therefore you should have your eyes on the TV magazines for mentions and interviews with Michael. We will try and post them all here. The first one you can find on the The TV Choice website. Have a look and enjoy. Furthermore, we are delighted to let you all know that Michael will give a very special charity concert in aid of the Shooting Star Children's Hospice. It will be held at the Prince of Wales Theatre in London (where he first appeared in as Alex in Aspects of Love) on Sunday 10 October. Tickets are priced between 65£ and 75£ and are available at Delfont Mackintosh Theatres and Platinum Package deals at Ticketmaster. After many speculations and rumours it has now been confirmed that Michael will be appearing at the (for now) last venue of the tour: The Bristol Hippodrome. Hairspray will be on from 12 - 30 April 2011. Tickets can be booked here. Hope to see many of you at the last night! Following the articel (with pic) on Shooting Star's 5th birthday you can also watch a clip in YouTube with interviews and bits from the big birthday bash. Michael speaks at about 6:20 minutes. Also we now know that Channel 4's "5 O'Clock Show" with Michael as a guest will be aired on 15 July at 5 pm. Michael will be appearing on "Saturday Night with Miriam" to promote his concert in Killruddery House. The show will be aired at 9.30 pm on RTÉ. So be sure to tune in, if you have the chance. On Sunday, 29 August, Michael will be performing at Killruddery House in Ireland. You can find out all about the venue here. Ticket prices are vary between 49,50 € (that's about 40 Pounds) and 105 € (that's about 85 Pounds). The concert is fully seated. Tickets go on sale to the general public on Friday, 2 July, at 9 am. Click here to order. Fingers crossed for a dry day! "ITV HAS signed up musicals star Michael Ball's daytime chat show - a day after we revealed David Dickinson's afternoon series is being shown the door. The antiques expert's 3pm ITV1 programme is being axed after just one run. 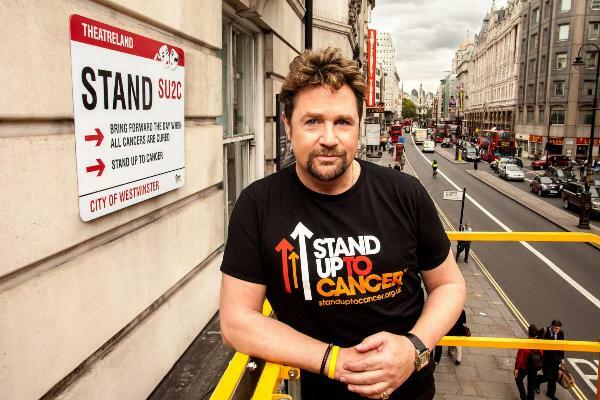 The Michael Ball Show launches later in the summer, with a mix of entertainment, discussion and showbiz - as well as Ball, 47, singing. Ball said: "I'm really looking forward to getting started."" We just got an e-mail from Mr Nick Micouris who is working on the "5 O'Clock Show" (he recruits TV audiences, his company is called Lost in TV). He said Michael will be a guest there and the recording would be on Monday, 12 July from 12:15 - 2:15 pm and what they still need is fans in the audience. He asked whether we could help him there. So, anyone up for a TV recording? Just apply online via the given link. Michael has been interviewed on BBC 1 South. It's just a short promotional bit for Hairspray, but you will surely enjoy it. Have a look here. BBC One South Today at 6:30 pm and on ITV Wales, The Wales Show, at 11:05 pm. 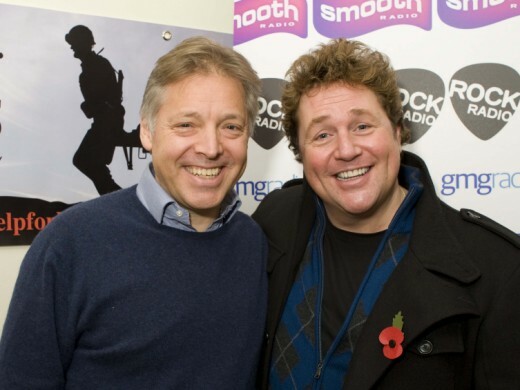 Michael Ball and Les Dennis have been interviewed on STV's "The Hour". You can see the video clip either using Windows Media Player or via Youtube. Be aware that the video clip is rather huge and will take some time to download. Thursday 13 May: "The Wales Show", ITV Wales, 11:05 pm. We are still catching up with the news. Sorry to be a bit late with this. Michael gave an interview to The Stage wich is available as a download from iTunes or as MP3 file. Check out their website to hear what he has to say about Edna and being a producer. We just got the heads up for a piece taken from the Guardian. Michael speaks in depth about Stephen Sondheim. Describing what makes him so special and why he enjoys his work so much. Be sure to read it. After Michael's appearance on Movie Toons we just uploaded the video of his interpretation of "The Bare Necessities". It may take some time to open. Wales Online released an interview with Michael's Tour Wilbur Les Dennis which is full of wonderful quotes about working on Hairspray and with Michael. Also there is a little video on the upcoming Hairspray opening in Cardiff. Visit their website for the video and interview, which also can be found on our Interview pages. Nichola Heywood Thomas interviewed Michael for the BBC Radio Wales Arts Show. This will be aired today, on Thursday 25 March at 6:30 pm. When you are in the UK you can listen to the interview by clicking on the player embedded on the BBC's Blog . 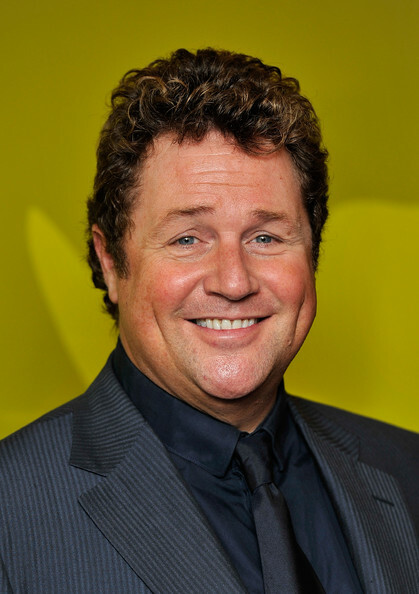 Michael Ball dons his fatsuit and frock to reprise his role as Edna Turnblad in the hit musical Hairspray at Cardiff's Wales Millennium Centre from the end of March. The West End star told me he's moving into the realms of production (or over to the dark side as he put it) when I interviewed him for the BBC Radio Wales Arts Show. Michael's a singer with a massive fan base, platinum and gold albums and a string of musical theatre successes to his name. He told me he'd loved Hairspray so much when he saw it on Broadway and was so keen to get the part of Edna when the show first opened in London that he went along with every other hopeful to audition for the part. Now, fair play, many other performers with over 20 years' experience might have thought themselves too grand to do that! You can hear the complete interview with Michael on the Radio Wales Arts Show on Thursday 25 March. UPDATE (21/03/10): Gill and Maureen from the Fan Club have talked to Michael's management. Shrek is not on, Sweeney still is. Phew. Michael will be making an appearance at ITV1's Loose Women on Monday 22 March. The show is on between 12:30 and 1:30 pm. Enjoy! 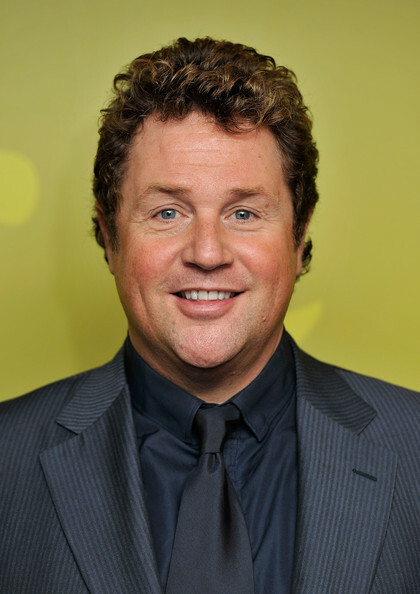 Michael Ball is in the early stages of negotiations to play the title role in the musical Shrek, which is expected to head this way next year. The show had a short-lived run on Broadway, but the producers have always believed it would fare better here. Jeffrey Katzenberg, the DreamWorks animation chief behind the film and the show, told me the Shrek movies and DVDs have always been immensely popular in the UK, and for that reason he believes the stage show will do well here, too. When I saw it in New York, it looked fantastic, and had some incredible illusions and costumes - but not one memorable song. Since then, however, I'm told the book has been extensively re-written with new numbers. I sure hope so. Actually, there was one fun song about flatulence sung by Shrek and Princess Fiona that should go down a gas on the London stage. But if the producers can come to a deal with Ball, who will be asking for something in the range of £40,000 to £50,000 a week, then they will have a major draw. As he proved with Hairspray, Ball knows how to attract punters. After he left that show, ticket sales dropped. The clever thing about Ball is that even though he was in a frock and a fat suit, an essential humanity came through and, more importantly, audiences believed in his Edna Turnblad. The thing about Shrek on Broadway was that I felt nothing for the poor green chap from the swamp. Ball will at least allow us to empathise with Shrek, and that's going to be half the battle. I don't know where this Shrek move will leave Sweeney Todd, which Ball and Imelda Staunton were to have done at Chichester next year. There were rumblings that it wasn't going to come together anyway. We'll see. Meanwhile, the Shrek producers, including Sam Mendes for Neal Street Productions, have to find a venue. They've looked at the Palladium, which won't be available. They've also been to the Palace, which might be free next year, as I'm hearing the musical version of the film Ghost might not be ready in time (book and score problems). And perhaps Oliver! might have ended its run at the Theatre Royal, Drury lane. On 19 June (Saturday) Michael will once more be appearing at the Hampton Court Festival. Official relase date for the tickets is 22 March. Happy booking everyone! Many of you will know that "Love never dies" (sequel of Phantom of the Opera) premiered last night at London's Adelphi Theatre. It's no big surprise Michael has been among the guests. 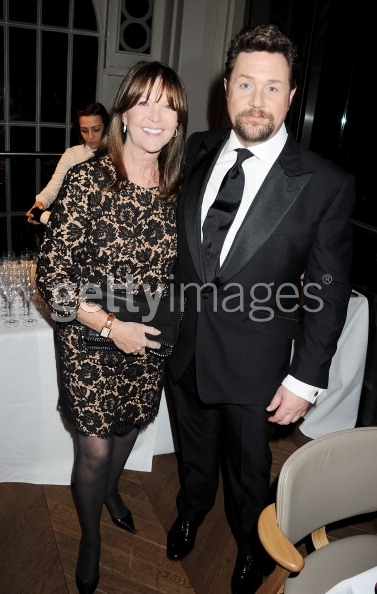 And of course there are some photos of Michael and Cathy. Just have a look at this link . If and I am sure we will find more pics, we will keep you posted of course. Daily Mail article including picture of Michael and Cathy . Okay, we never tried this, but with some luck it might work and you will be able to watch Michael on Jonathan Ross. Irish television is much nicer to us oversea fans than BBC. RTE has the Late Late Show from yesterday available to watch online AND you can even see it outse Ireland. So click here and enjoy Michael who will enter the stage after 1:14 hours. Enjoy. He's (Michael) actually got his own chat show coming up apparently. He's asked me to come up and do a little duet with him. Side remark for True Blood fans: You will be in for a treat. Stephen will play the piano and sing during episode 5 or 6 of the second series. He does incredibly well! If you want to listen to the whole interview click here. Thanks to All Stephen Moyer .com for sharing the interview. Ball is scheduled to open a new production of Sweeney Todd at the Chichester Festival Theatre in Spring 2011, alongside Imelda Staunton who will play the role of Mrs Lovett. The production will then move into the West End in the Summer of 2011. On Ebay there is a new compilation consisting of 3 CDs for sale. According to the text it will be released on 29 March 2010. 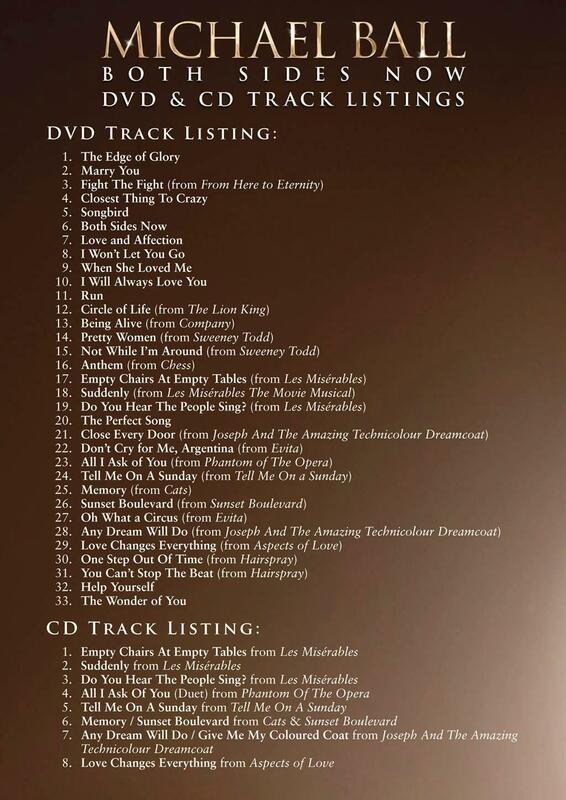 It seems to be another CD including his most loved songs. As soon as we found out some more details we will let you know. At least the cover would be lovely, don't you think? While doing some research we found some lovely pics of Michael at Jonathan Ross, which was recorded yesterday. Further down you can find more pics of him at Dancing on Ice. Just have a look at RexFeatures. We just learned in a blog what Michael said during the Jonathan Ross interview. Quote: " He reveals he'll star in title role of Sweeney Todd next year and confirms a new chat show." Be sure not to miss it tomorrow at 10:35 pm on BBC One. The longawaited air date for Michael's up, close and personal interview with Dolly Parton has been announced. Next Tuesday (9 March) at 10:30 pm you can hear the first 60 minutes of "A Date With Dolly: Michael Ball Meets Dolly Parton". In the first of two programmes, Michael Ball fulfills his longtime ambition to meet the woman who's bigger than country music itself, Dolly Parton. The series, which coincides with the release of Dolly's CD and DVD package 'Live From London,' breaks loose from the familiar "life story" approach to this Nashville superstar. Instead, in a long and revealing conversation, Ball finds out what makes Parton tick, how she keeps her family life private, how she became a canny businesswoman and how even she takes the wig off sometimes. Also in tonight's first part, Dolly talks about why she turned down Elvis and how she went about writing songs for the Broadway production of her hit movie '9 To 5.' Plus live versions of 'Jolene,' 'Two Doors Down' and the song she reveals as her personal favourite from her catalogue. The Ultimate Movie Toons on ITV 1, which we told you about earlier, has been postponed until 28 March. But at least we do have Jon Ross to look forward to (Michael and Vampire Bill in one show!). Now, how much would we love to live in the UK? Very much in general, but next weeks Jonathan Ross show is one we really hate to miss. 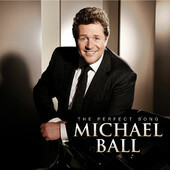 Michael Ball (surprise) will be one of Jonathans guests on the show that will air on Friday 5 March 2010 at 22:35 on BBC One. We guess it is to promote the start of the Hairspray tour at the end of March. 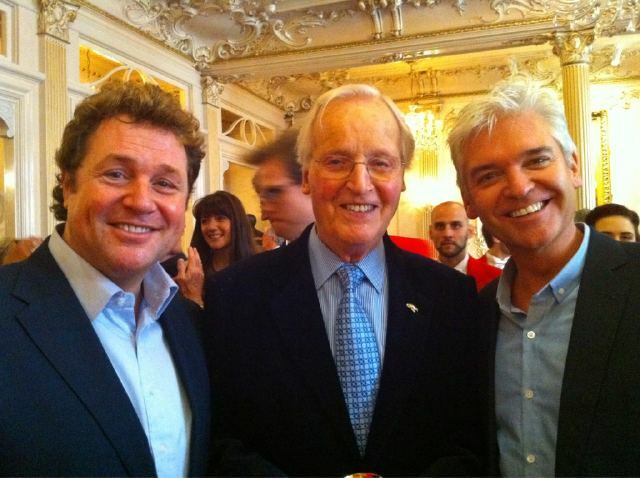 On his Twitter Account Phillip Schofield mentioned that Michael would be one of the show's guests today. As these things change as they go we won't bet our lives on it, but advise to tune in just in case. The show is braodcast on ITV 1 between 10:30 and 12:30 am. According to an article of The Sun Michael will be appearing as a judge on Dancing on Ice this Sunday. They also cover the possibilty of him sharing a chatshow slot with Alan Titchmarsh (founded on the recording of the pilot on Wednesday). It remains to be seen whether any of this will actually be officially confirmed, but we thought to share this article with you nevertheless. ITV1 has announced that Michael will be among those performing in a new TV show called ‘Ultimate Movie Toons' , celebrating beloved animated classics. Themost famous tunes will eb sung by various artists. Definitely one to watch out for. The transmission date is set for Saturday 27 February. Every year The Stage issues a Top 100 list of who they think are the most influential people in UK theatre. This year they asked the general public who they think should be included in the top 20 of most influential people. More than 1800 people contributed their suggestions. Michael has been busy yesterday. 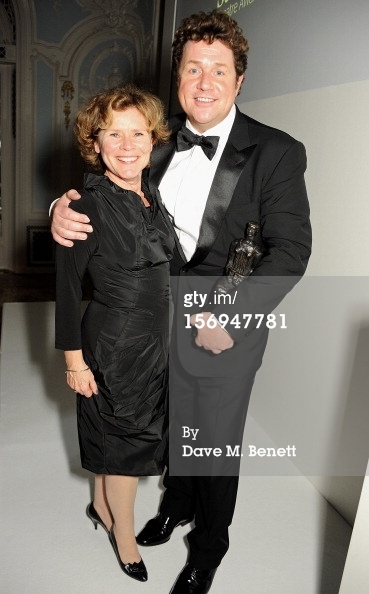 First he attended the infamous South Bank Show Awards at the Dorchester Hotel in London. Michael's Dolly Parton interview was moved to Tuesday, 26 January (it's still on ITV1's This Morning from 10:30 am - 12:30 pm). Furthermore, Michael can be seen on Channel 4's 8 Out of 10 Cats. The show will be aired on Friday, 29 January from 9:30 - 10:05 pm. Enjoy! Michael's much anticipated interview with Dolly Parton will be shown at ITV1's This Morning on Monday, 25 January. The show is on weekdays from 10:30 am - 12:30 pm. A little blast from the past: When you click on the link it will lead you to a video of the Broadway cast of Aspects of Love performing Love Changes Everything at the Tony Awards in 1990. A very young Michael in very fine voice. Enjoy! Michael was a guest at the Sun's Military Awards on 15 December. Here's a photo from Getty Images. We understand the ceremony will be televised on 21 December (ITV 1 9 pm - 10:30 pm). Maybe you will catch him on there. Also there is a blog about someone meeting Michael there. Also Michael will make an appearance on Ruth Jones' Christmas Cracker. This will be on BBC Wales an 22 December at 9 pm. 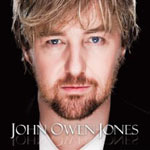 Last but not least Michael made a guest appearance on John Owen-Jones' first solo album ("John Owen-Jones"). Together with Bryn Terfel he accompanies John for the song "Pretty Lady". You can order the album via this link. Here is a link to a video of Michael visiting the Shooting Star Children's Hospice and talking about the concert on 12 December. Michael will make an appearance in BBC2's Never Mind the Buzzcocks on 2 December. The show will be on at 10 pm. As some of you may already have noticed Michael is now a fully-fledged twitter-er. You can read his tweets here. Also the countdown to the dvd release has begun. From 23 November it will be available in the shops. We certainly cannot wait. What a fantastic tour it has been! Pre-order Past and Present Live here. On the linked Amazon page there is also a little promotional video clip. Enjoy! 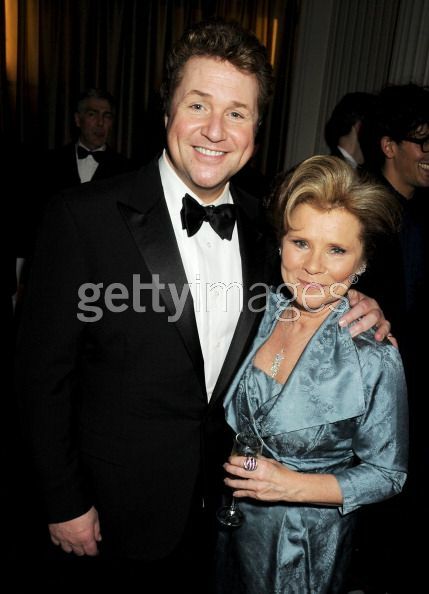 Michael Ball and Imelda Staunton are lining up to make a killing. The two stars have agreed to lead a new production of Stephen Sondheim's musical Sweeney Todd into the Chichester Festival Theatre and then the West End. That's the good news. The bad news is that we have to wait until the spring of 2011 before director Jonathan Kent gets it onto the boards in West Sussex. Both actors have their dance cards full to bursting till then. Imelda has already worked on Cranford Christmas, done a small role in Mike Leigh's new film and has other projects to take her through to the end of next year. Michael is doing his concert shows and performing in Hairspray on the road through this year, where he's getting £30,000 a week (and more) as star and co-producer. Kent has spent months, on and off, talking with the two actors about playing the demon barber of Fleet Street, who killed his customers, and Mrs Lovett, who turned them into pies. Michael has long been a fan of Sondheim's. He starred in the London premiere of Sondheim's musical Passion with Maria Friedman (the Donmar's doing it next year) and he has recorded Not While I'm Around from Sweeney Todd, although in the show the number's actually sung by Mrs Lovett. Sweeney Todd won't be officially announced till late next year, but the two leads had to be approached well in advance in order to be certain of their services. The musical for next year's Chichester season hasn't been decided yet. Barnum was to have gone there, but there have been problems casting the show. Indeed, at one point Ball's name was in the frame. But it's not happening now. Instead, I'm hearing rumours that a re- configured Half A Sixpence might find its way to Chichester - but talks about rights and re-writes are continuing before a firm decision is made. Michael did an interview with Shine Magazine. This magazine is produced by Shooting Star Children Hospice, which Michael has been supporting for several months now. You can download the magazine here. Michael's Interview is on pages 16 and 17. To promote the new DVD, Michael will be doing several promotional TV appaerances. As always these are subject to change and he might pop up all over the place in the next few weeks, so keep your eyes peeled. With being on tour we are a bit behind on the newsfront. Sorry about this. But better late than never. Exciting news! Michael will be doing two charity concerts this year. One will be on 12 December at Feltonfleet School in Cobham, Surrey, for The Shooting Star Children's Hospice. Tickets are currently sold out but you can be put on a waiting list. We also got contacted by Amy Marland from the Friends United Network who asked us let you all know about Michael's appearance at the Swing on a Star concert on 22 November at the Bloomsbury Theatre in London. Here is her e-mail with all the contact details. I am including some details of our very exciting Charity Cabaret Night taking place on Sunday 22nd November. I would be very grateful if you could display this event on your website and inform your members. 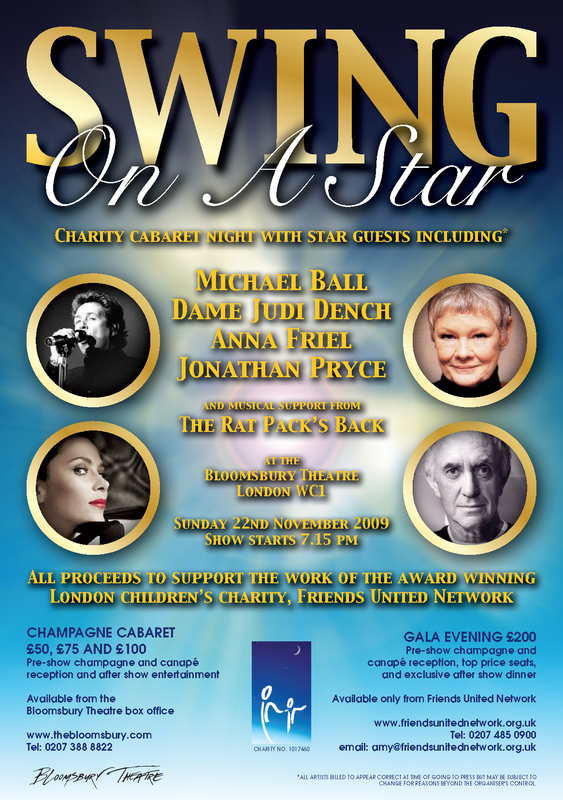 Charity Cabaret Night · Event Name: Swing on a Star · Charity Cabaret Night with a fantastic line up of stars guests including* Michael Ball, Dame Judi Dench, Anna Friel, Jonathan Pryce and musical support from The Rat Pack's Back. Champagne Cabaret tickets: £50, £75 and £100 available from: The Bloomsbury Theatre Box Office, 0207 388 8822 and http://www.thebloomsbury.com/event/run/1378 . Tickets include pre-show champagne and canapé reception, top price seats and exclusive after show dinner. · For one night only you will have the chance to be entertained by top international stars singing with a great swing band - The Rat Pack's Back. All proceeds to support the work of the award winning London children's charity, Friends United Network, Reg Charity No. 1017460. · Contact Tel No: 0207 485 0900." The Glaswegian has a competition to win tickets for Michael's Glasgow concert. If you want to enter visit their site. Michael just appeared on The One Show on BBC1. If you are in the UK and you missed it you will be able to watch the show again until the coming Friday (18 September). Just follow this link. Tomorrow morning Michael will appear on Lorraine's sofa at GMTV on ITV1 between 8:30 am and 9:25 am. Don't miss their website with some nice pics. Thanks to the Fan Club we now have an updated tour dates list up and running. The Cardiff dates are still waiting to confirmation though. So bear that in mind when planning your travels. Finally we are free to tell you the exciting news: Michael will reprise the role of Edna Turnblad for some venues of the Hairspray UK TOUR in 2010! An announcement as to the other members of the touring company is expected for Friday 14 August, so keep your eyes peeled! We will add all the relating interviews and press reports bit by bit. Please bear with us, today has been utter madness. CORRECTION: It's the Opera House at Manchester, NOT the Palace Theatre. Ben James-Ellis (the original London Link Larkin) has been interviewed by Scarborough Evening News. He finally confirmed he will be joining Michael on tour this September / October. Confirmed as well is the gorgeous Adrian Hansel (Seaweed). If you want to read the interview with Ben click here. As today (17 July ) is Fern's last show on This Morning, it might be advisable to check the programme out for a certain celebrity well-wisher.... ITV 1, 10:30 am - 11:25 am. In today's ( 5 July ) issue of the Sunday Express is an articel on Michael. So off to the newsstand everyone! There has been an interview with Michael on his six favourite books in the Daily Express . The article is still available online via this link . We had told you earlier (sometime in March) that Michael has recorded the show "Would I lie to you" to be aired in May. This was postponed to September. The date we have now is 28 September on BBC1 at 10:35 pm . Michael has informed the Fan Club that he is now supporting The Shooting Star Children's Hospice . So instead of buying presents for him it would be a good thing to donate the money to this worthy cause. If you want to find out more about their work, please visit the website . In his appearance on This Morning he hinted that there might be a concert to support Shootingstar in December. Fingers crossed. Michael will be making an appearance on ITV's This Morning on 26 June . The show is on from 10:30 am - 11:25 am . Enjoy! We have all known for a while now that Michael was planning to film one of his tour concerts later this year. When talking to him he said it won't be the Albert Hall because he been there, done that and that the big halls were the better filming locations for technical reasons. Today the Fan Club confirmed that indeed one of the big arena shows will be filmed (and what a special night it will be): the concert at the Cardiff International Arena (on 8 October). We will see you all there - let's rock'n'roll! The Fan Club informed us that Michael will be talking to Jonathan Ross today ( 30th )on BBC Radio 2. It airs between 10:00 am and 1:00 pm . Enjoy! The Fan Club informed us that Michael will be interviewed for BBC Radio Lincolnshire today ( 17th ) for the Marie Richmond programme. It airs between 12:00 noon and 3:00 pm (interview supposed to be on after 2 pm ). So this won't collide with Sunday Brunch. Furthermore, he is bound to be on BBC Radio Derby on 8 June for the Ed George's Afternoon Show aired between 1:00 pm - 4:00 pm . He is said to be on after 3 pm , but seeing it is still quite a while away, this is all subject to change. Michael is busy promoting the summer concert (and the tour and his last night in Hairspray) after his recent holiday. So be all ears for the regional radio stations. He has already been n air at Radio Kent's Pat Marsh and also at Daytime with Danny & Lou on Radio Oxford. There will be more to come. As these interviews happen quite spontaneously we are sorry to only being able to tell you to watch out for him and not to give exact dates and times. Also you can watch Michael on telly in The Apprentice: You're Fired , aired on 20 May at BBC 2 from 10:00 pm - 10:30 pm . This show on Gold Radio celebrates the charts twenty years ago. They feature the hits of the year and do an interview with Michael as he was number 2 in February 1989 with "Love changes Everything". The show airs just now (8 pm - 10 pm), but it is going to be repeated on Tuesday (14 April, between 10pm and 12am) . Be sure to listen to it via this link. Michael will be a guest in today's ( 1 April ) Simon Mayo show on BBC Radio, 5 Live, which is on between 1 and 4 pm. The Fan Club annouced he should be on at around 2:30 pm . Find our more about the show here . Also the article in The Lady magazine is availble online here . And finally Michael will be recording an interview with Ian Maurice from Radio 4BC Brisbane , which will be on air on Monday, 6 April at 11:30 am (London time) and 8 pm local time. Ian's interviews are not to miss! Enjoy!